For travelers who love to road trip and camp, RV camping (aka RVing) may be the perfect way to hit the road in Western Montana’s Glacier Country. Our warm season is just right for an RV holiday—be it a long weekend or the entire summer—you’re sure to find the perfect adventure. Travel light or load up the bicycles and kayaks and set off on an epic adventure where magnificent scenery and a road full of memories in the making await. Who: Client groups of all sizes will enjoy RVing—from one person to a family or group of friends—its easy to plan for the next great American adventure. 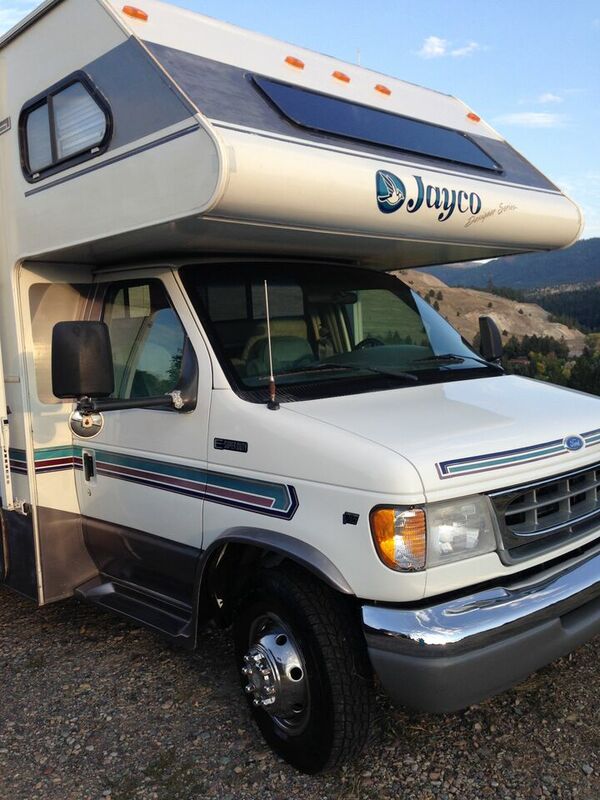 Renting an RV is also a great option for travelers who are looking to be in control of their own pace while discovering everything Western Montana has to offer. What: Choosing the right recreational vehicle for your clients will ensure a safe and enjoyable experience. Whether pulling a camper trailer behind a vehicle or utilizing a motorhome, travelers should make choices based on their travel needs and destinations. In Montana, campgrounds and parks have restrictions on the length of vehicles allowed. It’s advised to develop a well-thought-out itinerary based on the type of RV being used. Here is a sample itinerary for consideration. RVing services are abundant along every corridor. 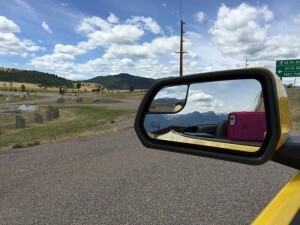 When: While many enjoy RVing year-round, Montana’s warm season (May – October) is the most favorable time for this kind of adventure, with clear roads, comfortable weather conditions and a wide variety of public and private campgrounds. Outdoor recreation is most accessible to travelers with camper trailers and motorhomes. Enjoying a campfire in the beautiful Mission Valley. 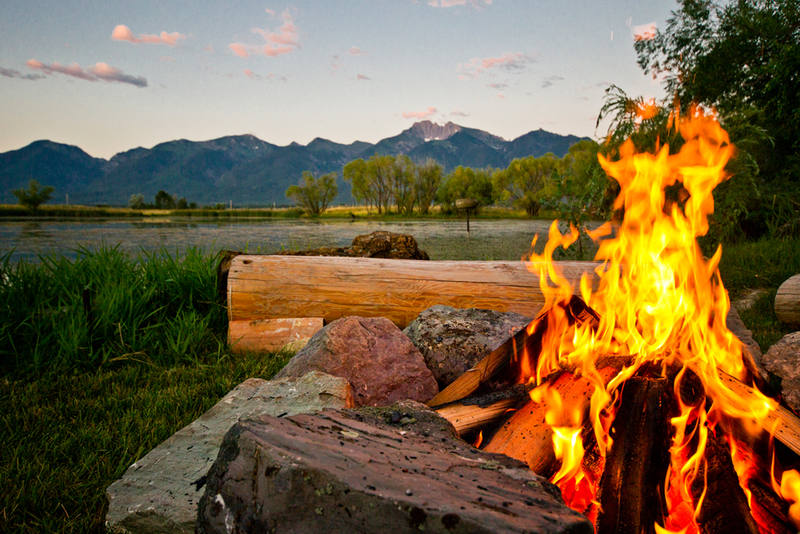 Where: From exclusive Montana RV destinations, to boondocking (RVing without any hookups water, electric or sewer) and basic-service public and private campgrounds, there are some pretty great Western Montana RV camping locations to be found. Enjoying a break along Highway 200 south of Plains, Montana. 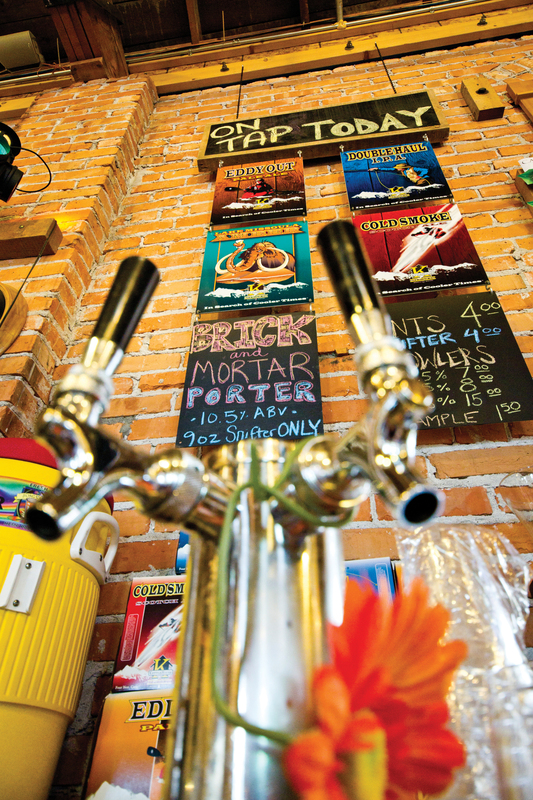 Why: There’s plenty to see and do in Montana’s warm season. Whether you’re organizing activities for the recreationist, the history buff or the cultural enthusiast, each and every community has something to add to the adventure. If soaking in the views is more of a draw, traversing our scenic byways is breathtakingly beautiful. 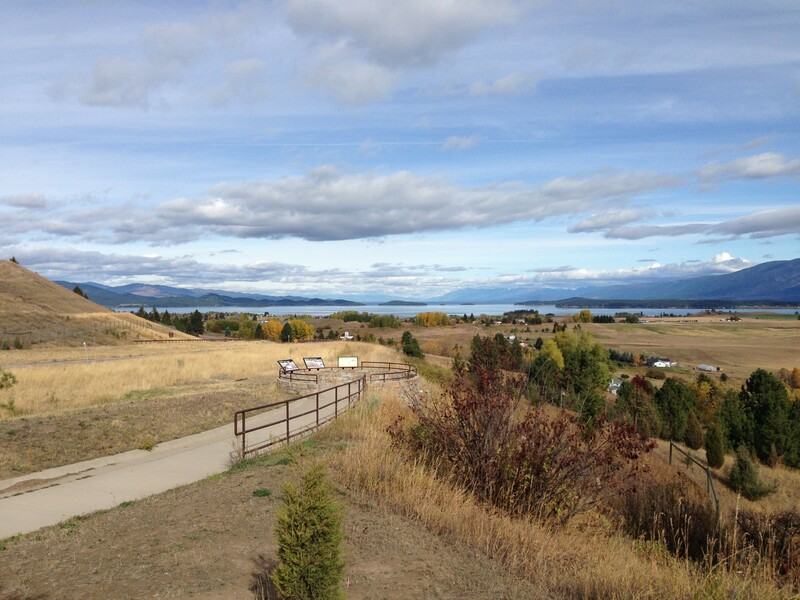 Overlook on Polson hill south of Flathead Lake. BONUS TIP: Getting here is easy, with direct access via major U.S. points of entry by plane, train or automobile. Your clients can rent their recreational vehicles en route or when they arrive in the region. Once here, getting around is the fun part. It’s time to start exploring the area and creating Montana memories. And, rest assured, the warm and friendly locals will happily provide directions anytime they’re necessary. 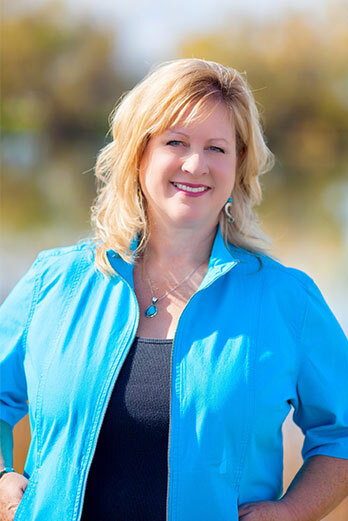 For more on creating the perfect Montana RV camping itinerary for your clients, contact our Tourism Sales Manager, Debbie Picard. This entry was posted in FIT, Tour Operators on February 21, 2017 by Racene. For many of our FIT and group tours, discovering Montana’s diverse and centuries-old history is part of the reason they come to Big Sky Country. 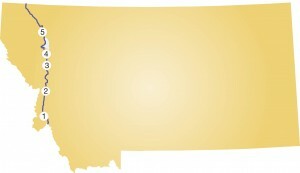 With a history and heritage that extends many millennia—beginning with the American Indians, Montana’s First Nations—to the Lewis and Clark Expedition in 1803, Western Montana’s Glacier Country has a rich and colorful history and heritage that lives on through physical and oral presentations found in all eight counties of the region. 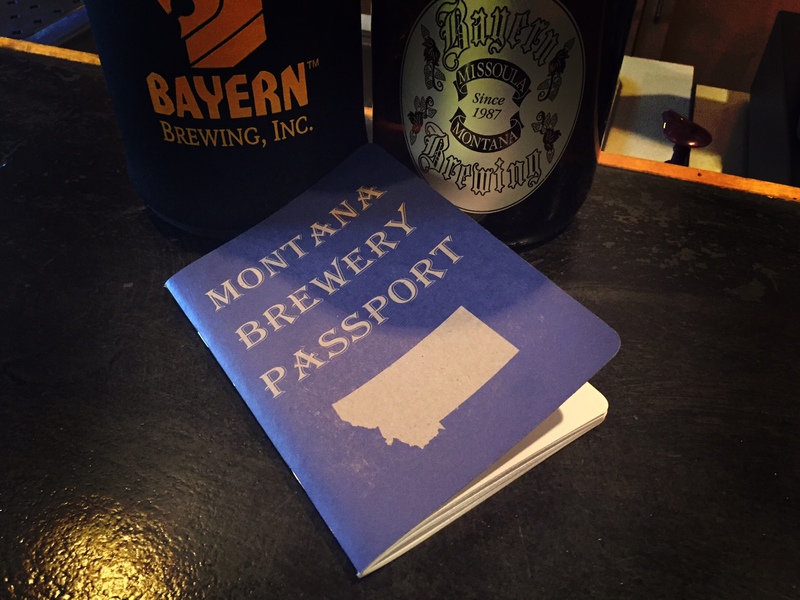 Montanans love to share stories about our state, our communities and those who preceded us. 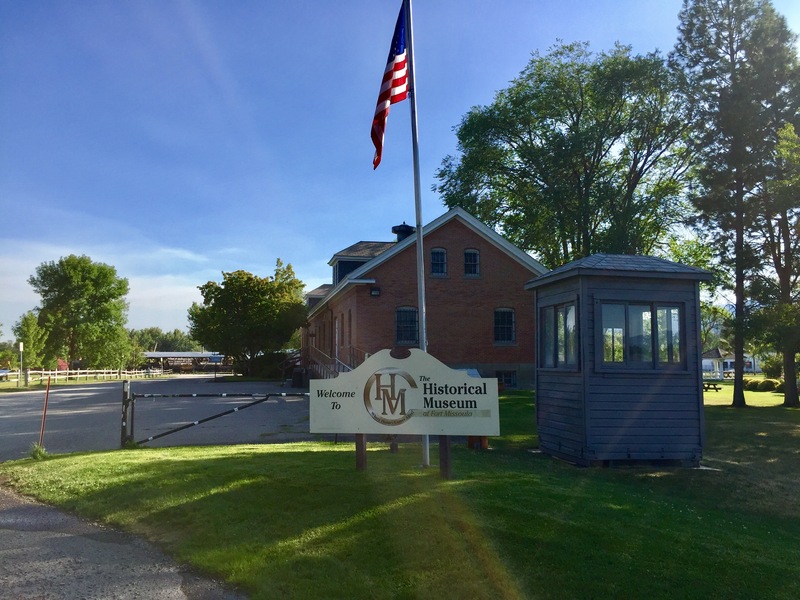 Museums and historical sites are dotted all across the region—some well-known and some that will surprise and delight history enthusiasts far and wide. 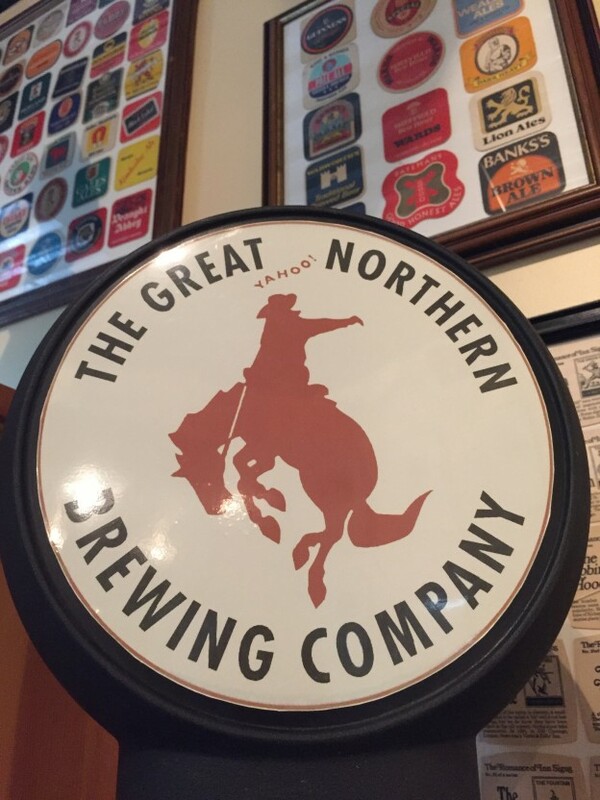 The following are a few places to suggest to group tour and FIT clients who enjoy stories of Montana and the American West, both past and present. Glacier County Historical Museum (Cut Bank) Stroll through exhibits and historic structures depicting the history of Glacier County and the surrounding area including Maltby homestead, Marias School, oil derrick, oil worker’s house and the Great Northern Railroad depot. This museum is a great place to experience the early days of Cut Bank in a living history setting. Great for groups of all sizes. 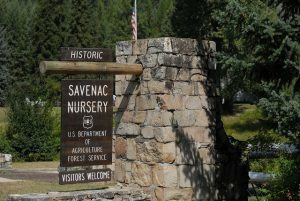 Open Memorial Day weekend to Labor Day – Tuesday through Saturday: 10 a.m. – 5 p.m.
Savenac Historic Tree Nursery Visitor Center (Haugan) Founded in 1907 as a U.S. Forest Service tree nursery, this facility eventually became an important part of the Civilian Conservation Corps (CCC) program which laid the groundwork for the United States of America’s national park system. The CCC was part of President Franklin D. Roosevelt’s New Deal and provided unskilled manual labor jobs related to the conservation and development of natural resources in rural lands owned by federal, state and local governments. 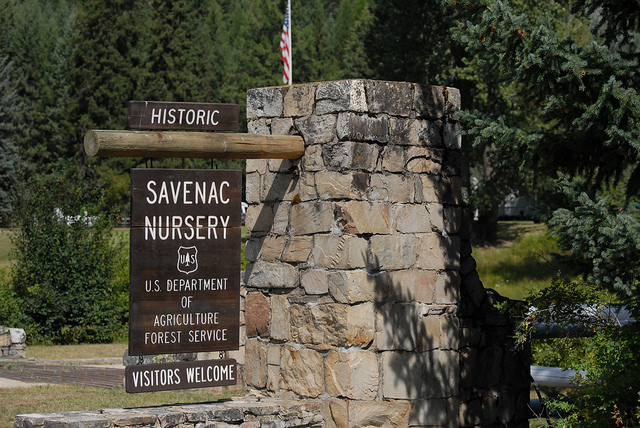 Today the tree nursery serves as a visitor center and offers a self-guided interpretive tour highlighting the history of the site, nursery operations and the fires of 1910. Groups of all sizes will enjoy this historic location. 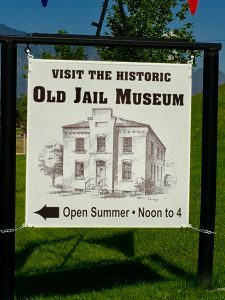 Open daily from Memorial Day weekend through Labor Day – 10 a.m. to 6 p.m.
Old Jail Museum (Thompson Falls) This 100-year-old jail features a variety of local history about famous explorer and city namesake David Thompson, construction of the Thompson Falls Dam, the Civilian Conservation Corps (CCC) camps and the fires of 1910. This museum is a true hidden gem and is accessible for groups of all sizes. Open daily Memorial Day weekend through Labor Day – 12 p.m. to 4 p.m. Admission fees: $5 per family, children admitted free. Group rates available. Life-size American Indian encampment display. Ninepipes Museum of Early Montana (Charlo) This 11,000+-square-foot museum graciously depicts the history and culture of the Flathead Indian Reservation and early Montana. 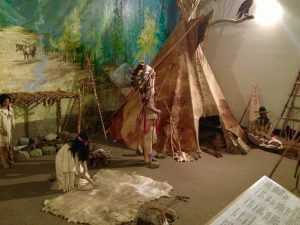 It features artifacts, historical photographs, a magnificent beadwork collection, armaments and a life-size diorama room filled with mounted wildlife and an Indian camp from around 1880. This must-see museum will captivate your clients traveling in small and large groups. 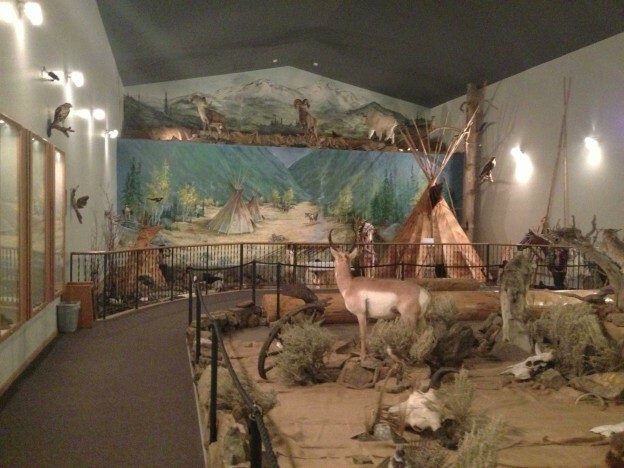 Based on how in-depth your group would like to go into Montana’s history, a customized tour can range from one to three hours. Open Memorial Day weekend through Labor Day – Monday through Saturday – 10 a.m. to 5 p.m. Admission fees: $5 for adults, $4.50 for seniors, $4 for students, $2.50 for children ages 6 to 12 years of age and no cost for children under 6 when accompanied by an adult. Group rates are also available. Main entrance to the sprawling grounds of Fort Missoula. Historical Museum at Fort Missoula (Missoula) Fort Missoula has over 250 years of history beginning in 1877 as an U.S. Army fort used by the 7th Infantry and the 25thh Infantry Bicycle Corps. It was then used as a military training center during World War I followed by being the Northwest Regional Headquarters for the Civilian Conservation Corps. Later it was an alien detention center and prison for military personnel. Decommissioned for official military government use in 1947, Fort Missoula is now owned and operated by federal and county government. The museum has seen a resurgence of interest and now serves as a significant testament to the history and heritage of the Missoula Valley. Open daily Memorial Day weekend through Labor Day – Monday through Saturday – 10 a.m. to 5 p.m.; Sunday – 12 p.m. to 5 p.m.
Offseason: Tuesday through Sunday – 12 p.m. to 5 p.m. Admission fees: $4 for adults, $3 for seniors, $2 for students, $10 per family and no cost for children under 6 when accompanied by an adult. Group rates are available. Trailhead to the walking trail at Traveler’s Rest State Park. Travelers’ Rest State Park (Lolo) This state park is the only archaeologically-verified campsite with physical evidence of the Lewis and Clark Expedition in the nation. Centuries before Lewis and Clark, this site was used by Montana’s First Nations, including the Salish, Pend d’Oreille and Nez Perce. The 51-acre park is also an idyllic spot for a short stroll and has a rich bird habitat, with more than 115 species recorded within the park boundaries. Interpretative programs are offered daily in the summer with special events promoted throughout the year. 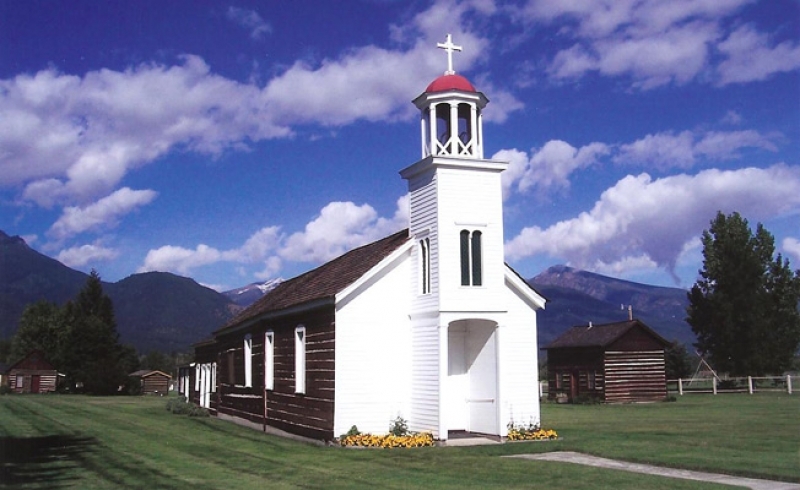 Historic St. Mary’s Mission (Stevensville) 48 years before Montana became a state, the St. Mary’s Mission was established in 1841 by Father Pierre DeSmet by request of the Salish Indians seeking Black Robes as teachers. 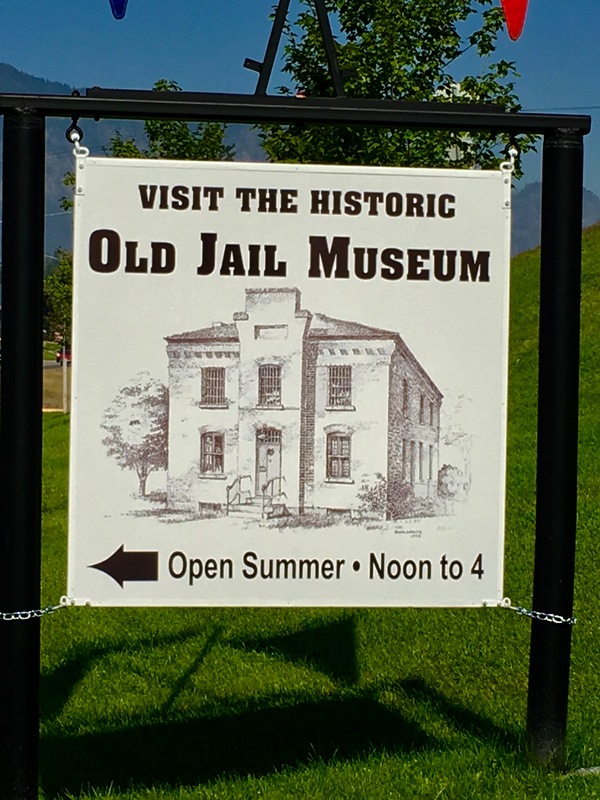 This historical site includes the original structures of the 1866 Chapel and Father Ravalli’s log cabin and pharmacy which contains furnishings handmade by Father Ravalli, Montana’s first medical doctor. The mission is one of Montana’s best-kept secrets and a wonderful experience for groups of all sizes. Open April 15 through October 15 – Tuesday through Friday – 10 a.m. to 4 p.m. and Saturday – 11 a.m. to 3 p.m. Admission fees: $8 for adults, $7 for seniors, $6 for students and no cost for children under 6 when accompanied by an adult. Reserved group rates (10 or more) are available. Southern style mansion of copper king Marcus Daly. Daly Mansion and Margaret Daly Memorial Arboretum (Hamilton) Completed in 1910 by famed Missoula architect A.J. 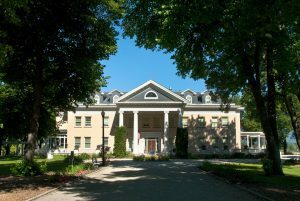 Gibson, the Daly Mansion is the historic family home of the famous American industrialist and founder of Hamilton, Marcus Daly. It is a 24,000-square-foot Georgian Revival home that sits on 41 acres of expansive lawns, gardens and an arboretum that boasts one of the widest and rarest variety of trees in the state of Montana. The exhibits showcase the story of Daly and his rise from working-class immigrant to copper magnate along with the local, regional and international history tied to his extended family. Museum is open daily mid-May through first week of October – 10:30 a.m. to 3 p.m. Grounds are open daily mid-May through first week of October – 9 a.m. to 5 p.m. Admission fees: $9 for adults, $8 for seniors, $6 for children and no cost for children under 6 when accompanied by an adult. Group rates are available. If you would like more information on options for a history and heritage filled itinerary through Western Montana or need help planning an itinerary, contact Debbie Picard, Tourism Sales Manager, for assistance. This entry was posted in FIT, Tour Operators on August 8, 2016 by Racene. 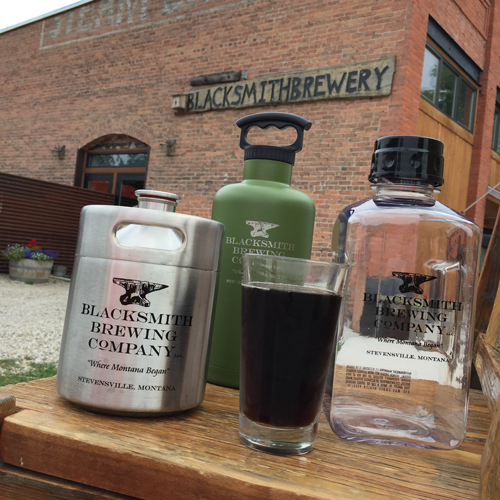 Authentic and delicious food is becoming more and more prevalent in people’s minds when they think about Montana. With a diverse range of culinary offerings and experiences, it’s easier than ever to find locally sourced, homemade, gluten-free and vegetarian cuisine. 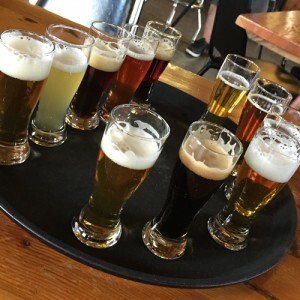 To help you plan a unique and perfectly-catered FIT itinerary for your clientele, here are some unusual and fun culinary experiences that are available in Western Montana’s Glacier Country. 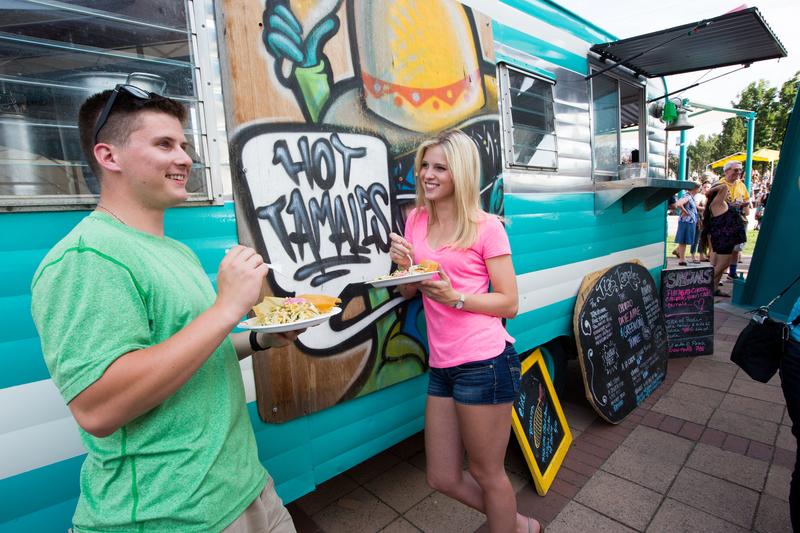 Food Trucks – growing in popularity, food trucks can be found all over Montana. 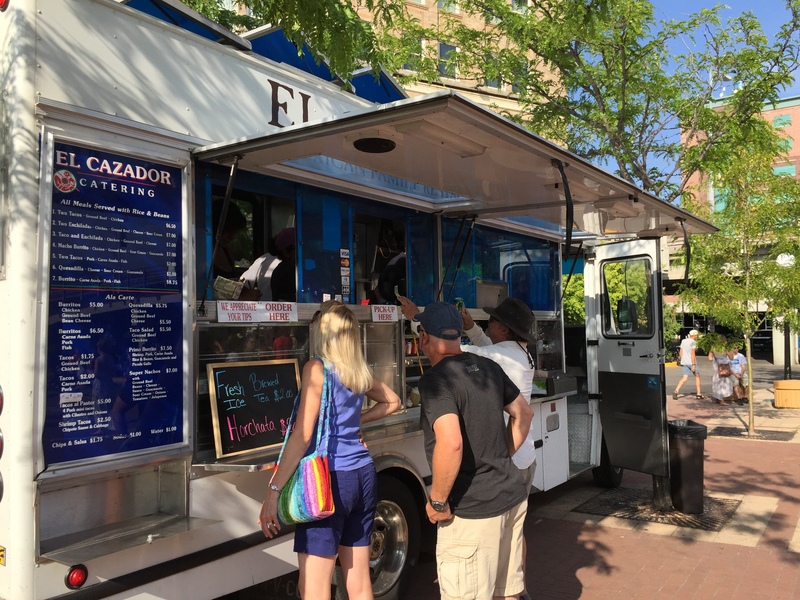 For clients who would like to experience this growing trend, food trucks are often found at special events like rodeos, fairs, festivals and farmers markets (held weekly in many towns within the region during the warm season) throughout Western Montana’s Glacier Country. 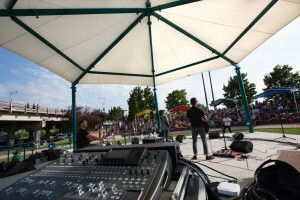 Missoula is home to many portable food vendors and often found along with music and entertainment. 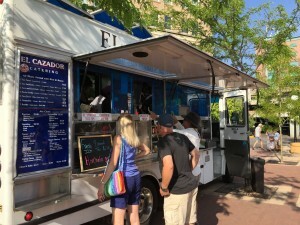 Every Wednesday (June – August) from 11 a.m. – 2 p.m., your clients can stroll through vibrant downtown Missoula with a stop at Caras Park for Out to Lunch, where they can enjoy some of the best food trucks in the region. Another great weekly event is Missoula’s Downtown ToNight, which happens every Thursday evening (June – August) from 5:30 p.m. – 8:30 p.m. at Caras Park. Caras Park is located in the heart of downtown and is nestled between the Wilma Theater, the Missoula Carousel and the Clark Fork River. Sweet treats – Fresh, rich, sweet and creamy are great words describe treats from our local bakeries and ice cream shops. 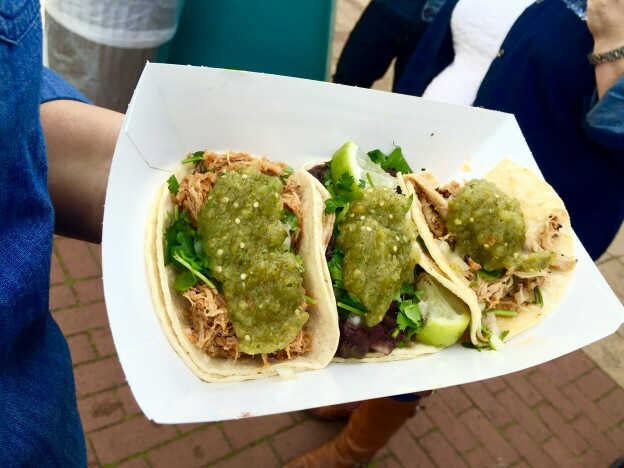 Using locally sourced ingredients, these businesses are a foodie’s dream. 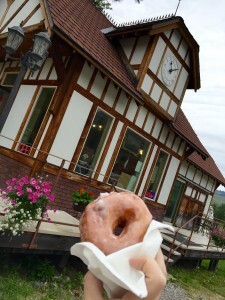 Homemade sweet indulgences can be found throughout the Glacier County region but here are a couple stops for any food lover’s trip itinerary. Bernice’s Bakery, Missoula’s oldest bakery, is known as a neighborhood hangout and serves cupcakes and cookies (available in all shapes and favors) with a cup of fresh hot coffee. You’ll also see locals hanging out and catching up on the happenings about town. 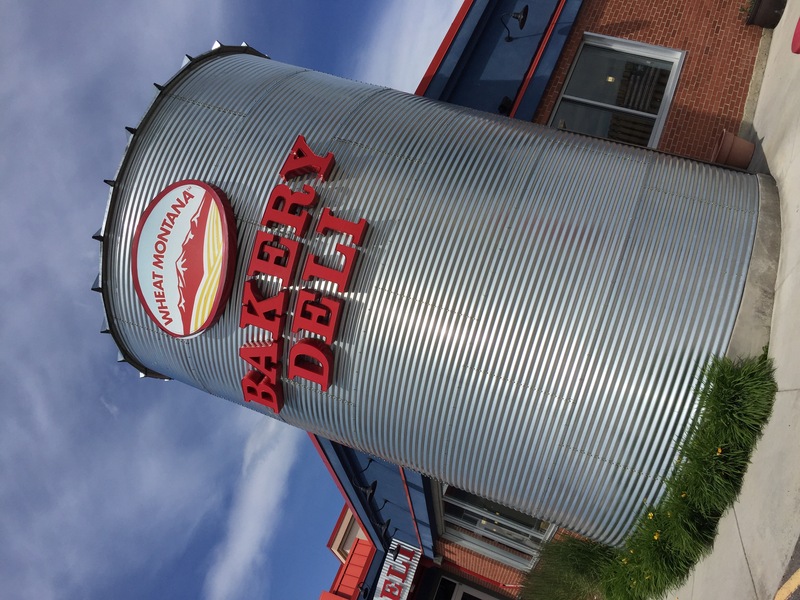 If your clients are traveling from Missoula north to Polson, Whitefish or Glacier National Park, be sure to recommend a Western Montana favorite: Windmill Village Bakery. Nancy serves up fresh and hot doughnuts, as well as cookies, huckleberry muffins and a variety of pies. *Sidenote: the Windmill is open seasonally, from spring through fall. For exact dates, visit their facebook page. Wheat Montana Bakery cinnamon rolls are big, delicious and made with Montana flour directly from Wheat Montana Farms outside of Bozeman. 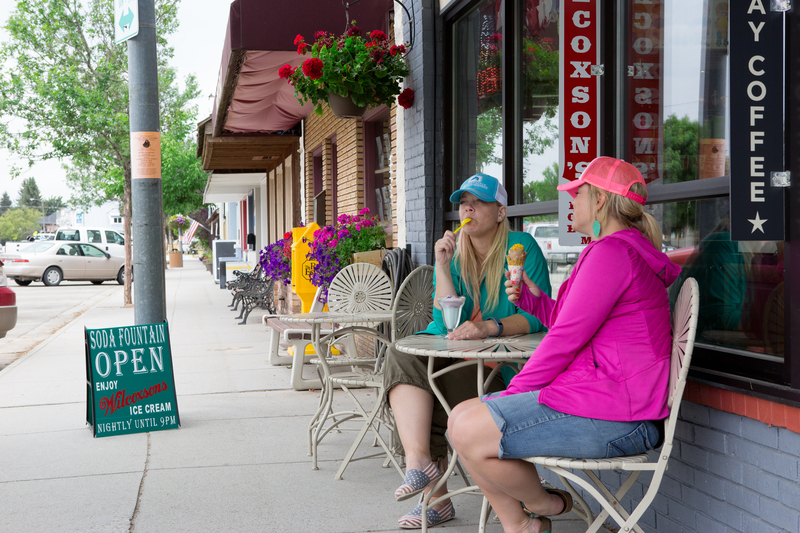 With three bakery locations in Western Montana serving decadent treats, recommend your clients stretch their legs by stop and grab something to go. If your FIT itinerary has your clients driving through Montana’s Bitterroot Valley—a region I highly recommend exploring, especially for its history, scenery and small towns—be sure to include a stop at Valley Drug and Variety Store in Stevensville. A true old-fashioned western soda fountain drugstore, they serve Montana’s Wilcoxson’s Ice Cream and is a worthy stop when traveling through this region of Montana. Big Dipper Ice Cream is a star in the state with fast moving lines often 10 – 20 people deep (completely worth the wait) at the Missoula shop. Luckily, they also have an ice cream truck that scoops up their assorted flavors at various locations around Missoula. Plus, if you’re dining at local restaurants around Montana, chances are you’ll see Big Dipper Ice Cream on the dessert menu. 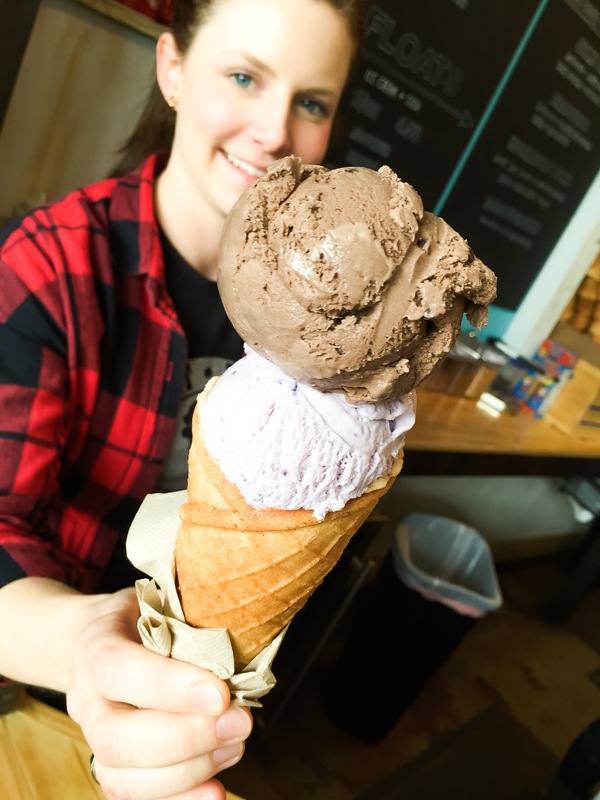 Bursting onto the scene a few years ago, Sweet Peaks Ice Cream is quickly becoming a Montana favorite with locations in Whitefish, Kalispell, Bigfork and Missoula. 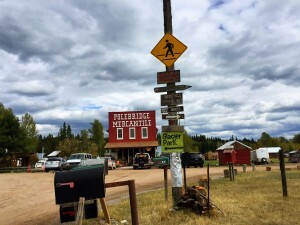 The Polebridge Mercantile, known for their huckleberry macaroons, has two locations: the original location is in the small community of Polebridge just outside Glacier National Park in an area known as the North Fork, while the second location is the Polebridge Bakery at Stumptown Market in downtown Whitefish. If you would like more information on delicious and fun culinary options for an itinerary through Western Montana or need help planning an itinerary, contact Debbie Picard, Tourism Sales Manager for assistance. This entry was posted in Culinary, FIT on June 14, 2016 by Racene. Western Montana’s Glacier Country is comprised of millions of acres of public land that is home to 83 species of mammals and 393 species of birds. For nature photographers, bird watchers or for those who simply enjoy watching wildlife in their natural environment, our scenic and beautiful region will not disappoint group travel tours and foreign independent travelers. For those new to Big Sky Country, these three ways of watching Montana wildlife are sure to provide your clients with memorable wildlife-viewing experiences. Nestled in the area known as the Crown of the Continent, this gem is one of America’s top 10 favorite national parks. Glacier National Park is one of the most diverse and intact ecosystems in the world and its diversity creates great year-round Montana travel opportunities to view watchable wildlife like grizzly bears, black bears, moose, elk, mule deer, whitetail deer, bighorn sheep and mountain goat living in their natural habitat. 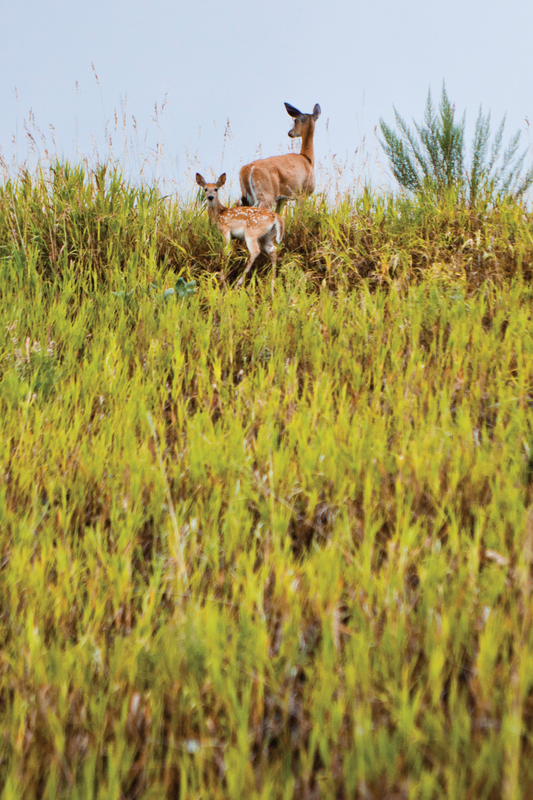 Tips for your clients: Safety is important when watching wildlife—for you and for the animals. 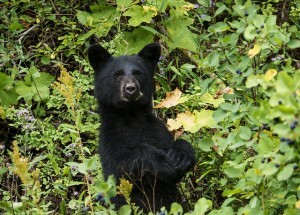 Remind your clients to never approach wildlife and instead suggest that they use a binoculars or a telephoto lens. Animal lovers often want to get closer, however, this puts people in danger and can habituate animals to humans and leads to aggressive and unsafe situations. See more tips on safely viewing wildlife here. 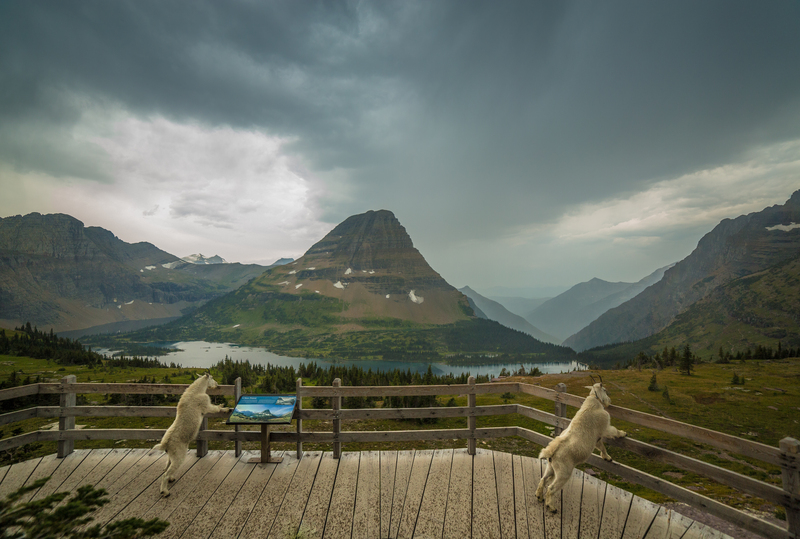 Goat Lick: On U.S. Highway 2 between West Glacier and East Glacier Park, this natural mineral lick attracts mountain goats in early summer. Logan Pass: Located at the top of the Going-to-the-Sun Road, bighorn sheep and mountain goats frequent this area. When planning a trip to Glacier National Park, keep in mind that the road opens in mid-June and closes in late-September, weather dependent. For the latest road updates, visit www.glaciermt.com/gtsr. Many Glacier Valley: Between the small town of Babb on the east side of Glacier National Park and Many Glacier Lodge at Swiftcurrent Lake, elk, deer, grizzly bear, black bear, moose, bighorn sheep and mountain goats travel this corridor as they cross the road from the mountains to Lake Sherburne. This road is open as weather permits. Access and fees: Glacier National Park has various park pass opportunities from predetermined fee-free days to single vehicle passes and group tour commercial passes. Vehicle size restrictions do apply in some areas. 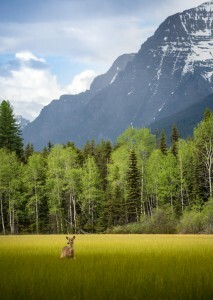 For more details: visit Glacier National Park’s fee page. If your itinerary includes visiting several federal land areas, the National Parks and Federal Recreational Lands Pass (America the Beautiful Pass) allows travelers entry into more than 2,000 federal recreation sites across the United States. Each pass covers entrance fees at national parks and national wildlife refuges as well as standard amenity fees (day use fees) at national forests and at lands managed by the Bureau of Land Management, Bureau of Reclamation and U.S. Army Corps of Engineers. This $80 annual non-transferable pass is available to everyone and can be purchased online, obtained in person at a federal recreation site or by calling 1-888-ASK USGS (1-888-275-8747), Ext. 3 (hours of operation are: 8 a.m. to 4 p.m. MST). The U.S. Fish and Wildlife Service operates the National Wildlife Refuge system which is a network of habitats that benefits wildlife and provide outdoor experiences for wildlife observation, including birding, photography and interpretation. 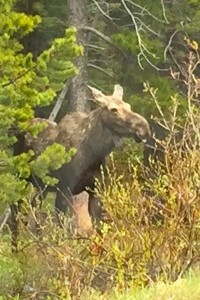 Glacier Country has several refuges that offer unparalleled watchable wildlife opportunities. National Bison Range (located between Dixon and Ravalli) There are two main drives for visitors: Red Sleep Mountain Drive—the longer and steeper of the two—is open from mid-May to early October while the Winter Drive is open year-round. The visitor center is a great starting point with displays, restrooms and bookstore that is typically open daily from mid-May to early October but has limited hours during the winter season. For large groups, be sure to schedule your arrival ahead of time with refuge personnel. Wildlife: bison, black bear, bald eagles, meadowlark, elk, whitetail deer, mule deer, coyote, antelope, mountain lion and muskrat. New vehicles restrictions as of 2015: Due to the steepness of roads and tightness of switchbacks, no vehicles over 30 feet in length are allowed on Red Sleep Mountain Drive or Prairie Drive. They may access the paved roads to the day use area and visitor center as well as the shorter West Loop. Also, for safety reasons, motorcycles and bicycles are not allowed to travel on the graveled scenic drives. They may access the visitor center and day use areas along paved roads. Lee Metcalf National Wildlife Refuge (Stevensville) Located in the beautiful Bitterroot Valley, the Lee Metcalf National Wildlife Refuge provides four distinct opportunities for wildlife observation and photography: the wildlife viewing area, the refuge headquarters and visitor center, the Kenai Nature Trail and along Wildfowl Lane, the county road that runs through the refuge. These viewing areas and trails are accessible for all abilities, making this scenic refuge a great place to add to itineraries for all generations and group sizes. Be sure to tell your clients that dawn and dusk are peak times to see wildlife when they are most active, as well as experience colorful sunrises and sunsets. The visitor center is open from 8 a.m. – 4:30 p.m. Monday through Saturday (October – April) and open seven days a week (May – September). Small and large vehicle parking is available. Wildlife: herons, waterfowl, raptors, shorebirds, flycatchers, swallows, butterflies, dragonflies, whitetail deer, yellow-pine chipmunk, northern pocket gopher, meadow vole, porcupine, striped skunk, muskrat and beaver. For a sneak peak, visit the Lee Metcalf National Wildlife Refuge Flickr site. Ninepipe and Pablo National Wildlife Refuges (Pablo) Nestled in the Mission Valley, both the Ninepipe and Pablo National Wildlife Refuges provide outstanding opportunities for wildlife observation, photography and recreation which make these stops good for year-round itineraries. Spring, summer and fall always have an abundance of birds either flying through or nesting but winter is the only time to view snowy owls. This geographical region, specifically these two refuges, serves as their winter habitat. During the warmer seasons, the snowy owl flies toward the polar north. Wildlife: loons, ducks, bald eagles, snow geese, tundra swans, hawks and snowy owls. For maps of viewing areas, parking and trails, download the public use brochure. Swan River National Wildlife Refuge (south of Bigfork) The Swan River National Wildlife Refuge lies along the southern end of Swan Lake with the Swan Mountains to the east and the Mission Mountains to the west. The Swan and Mission Mountain Ranges provide important habitat for deer, elk, moose and bear which can occasionally be seen on the refuge in the spring and summer. 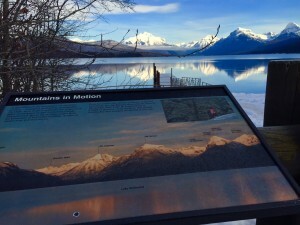 Right off Highway 83, there is an accessible information kiosk with interpretive signage and viewing platform within a short distance of the parking area. While this refuge is open throughout the year, the months of April – November are the best times to add this location to wildlife focused itineraries as the variety and quantity of animals is much higher. Wildlife: waterfowl, black bear, bald eagles, whitetail deer, mule deer, elk, moose, grizzly bear, muskrat, sandhill cranes and blue herons. Tips for your clients: Wildlife like cooler weather. While they can be seen throughout the day, morning and evenings are the best times to see them, particularly dawn to mid-morning and 5 p.m. to dusk, especially during July, August and September. 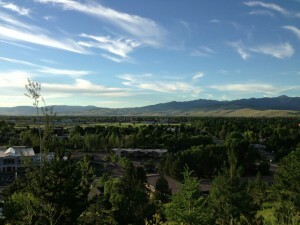 Montana’s morning and evening light is also best for taking photographs. Access and fees: National wildlife refuges have various fees based on group size. Commercial passes may apply. Vehicle size restrictions for group tour buses apply in some areas. For more details, be sure to visit the refuge websites listed above. 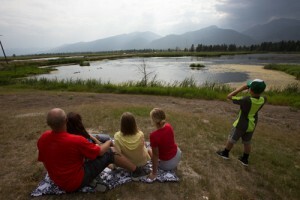 Montana State Parks has two nature-based parks in Western Montana where wildlife viewing are unique experiences well-worth the trek (or boat-ride). Group fees apply for groups of 30 or more. Wild Horse Island State Park is the largest island on the west side of Flathead lake and offers visitors an old growth Ponderosa pine forest, great hiking trails and incredible wildlife viewing opportunities that may include bighorn sheep, mule deer, songbirds, waterfowl, bald eagles and falcons, as well as a herd of wild horses. Open year-round, this park is only accessible by boat or kayak. 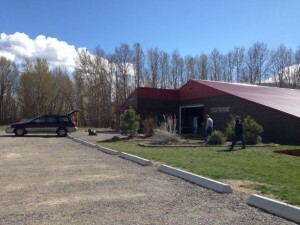 Kwa Taq Nuk Resort in Polson and Far West Tours in Lakeside offer boat tours to Wild Horse Island. The island is a great site to add to itineraries between May and October, but keep in mind that some guided tours are only available between June and September due to water levels. Lone Pine State Park, home to whitetail deer, songbirds, bald eagles and falcons, sits on 270 acres atop a mountain vista overlooking providing a stunning view of the Flathead Valley and has 7.5 miles of trails available for recreation. This park is perfect for individual or group itineraries as is offers services and amenities for all generations and abilities: ADA accessible, organized children’s activities, equipment rental, established fire pits and picnic shelter. 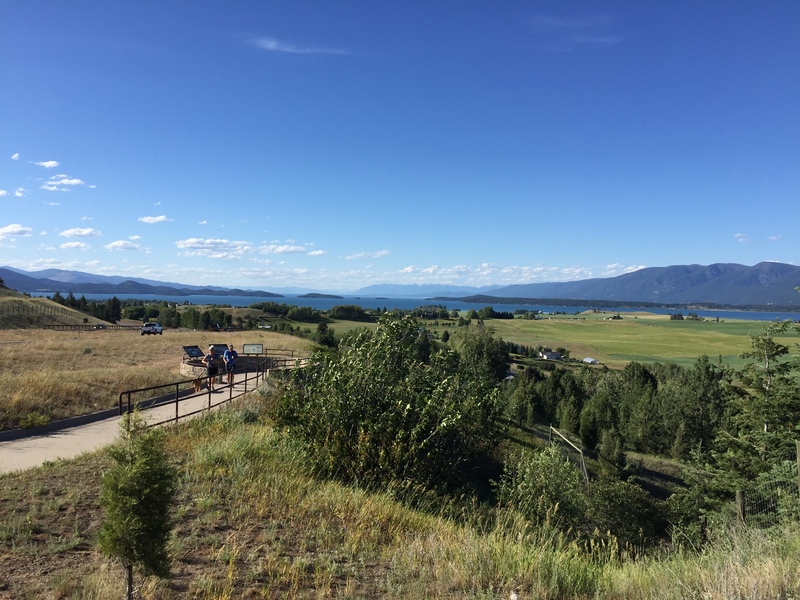 Open year-round, this park is 4.6 miles west of Kalispell and features a newly remodeled visitor center with interpretive displays and gift shop. 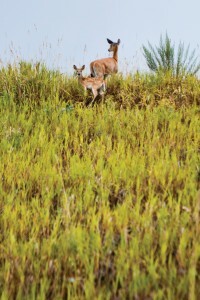 A primitive and adventurous way to view wildlife is to visit one of Montana State Park’s many wildlife management areas. 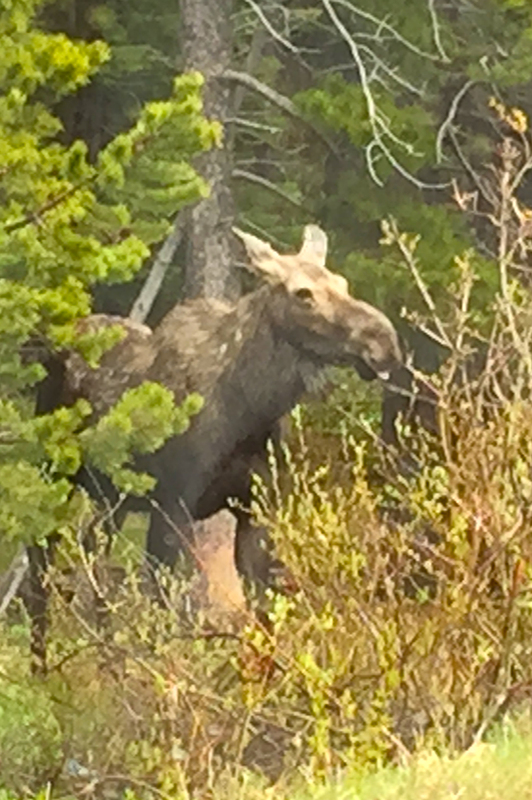 Where nature-based parks have a visitor focus, wildlife management areas focus on wildlife habitat conservation for a myriad of species including lynx, mountain lion, elk, mule and whitetail deer, black bear, grizzly bear, mountain lion, bald eagles, waterfowl and moose. One thing to keep in mind: while these areas are open year-round, they have no services. Tips for your clients: If you see wildlife along a road and want to safely view them, be aware of surrounding traffic when you slow down and only use designated pullouts or broad road-side shoulders. Do not block traffic by stopping in the middle of the road. If you are within 100 yards (300 feet) of the animals, stay in the vehicle or use it as a barrier to watch from and keep small children and pets inside the vehicle. Read animal’s behavior just like one would read a person’s body language–twitchy, nervous or aggressive behavior is a sign you are too close and should back away. The objective is to watch wild animals in their natural environment, rather than to see how they react to people within it. Use field guides to help with identification and understanding the animal’s behavior. Access and fees: Montana State Parks have various fees based on group size. Commercial passes may apply. Vehicle size restrictions for group tour buses apply in some areas. For more details, be sure to visit the park websites listed above. 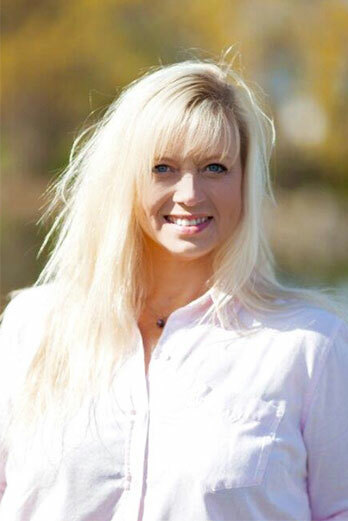 Contact Debbie Picard, Tourism Sales Manager for assistance planning the perfect watchable wildlife itinerary. This entry was posted in FIT, Tour Operators on March 16, 2016 by Racene. Winter in Western Montana’s Glacier Country is an extraordinary time in a very special place. Like many areas throughout the great Rocky Mountains, we are surrounded by public lands that are abundant in recreational opportunities. In Montana, we have something no one else has–Glacier National Park. Contrary to popular belief, Montana’s Glacier National Park is open year-round and is one of my favorite places to visit and recreate during the winter. 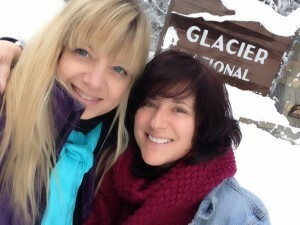 Fun winter day in Glacier National Park. With fewer visitors to Glacier National Park in the winter, the pace slows down but the spectacular beauty continues to awe and inspire. Winter views at Lake McDonald. Beautiful no matter how you see it. 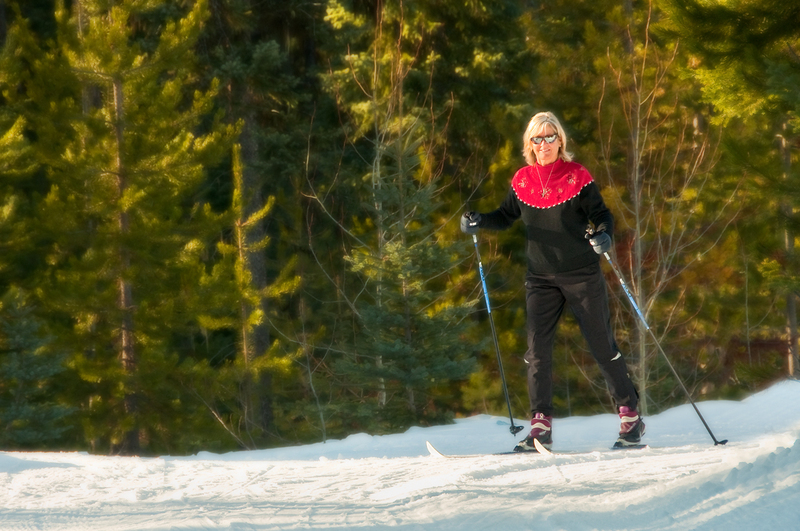 The most popular cold weather activities are cross-country skiing and snowshoeing. 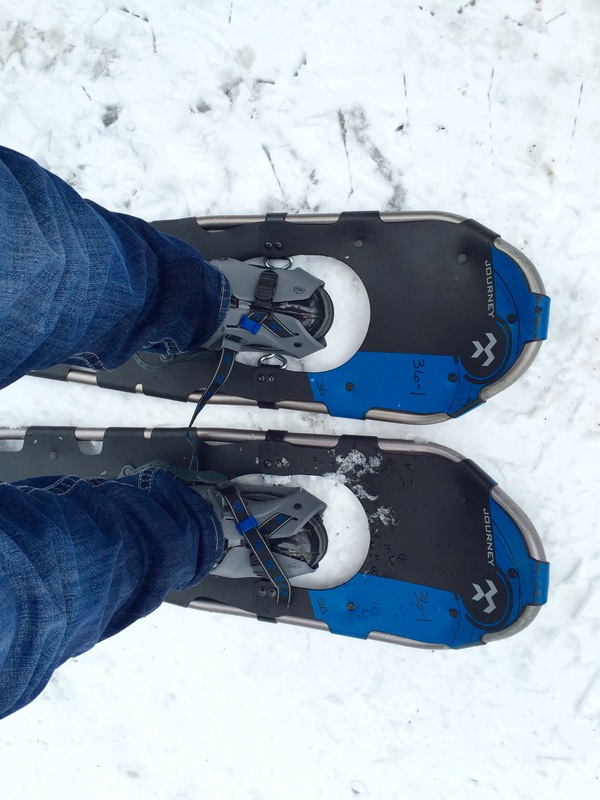 During January, February and March, the National Park Service offers ranger-led guided snowshoe walks where rangers are able to share some of the wonders of winter in Glacier National Park with participants. Wildlife viewing, nature photography, walking and camping are all things visitors can do on a brisk clear blue sky day. What to wear? 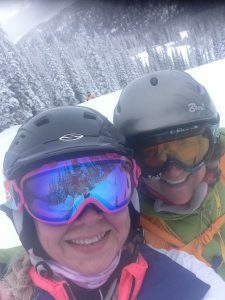 The best clothing advice for recreating in Montana is to wear layers of breathable, moisture-resistant clothing that can be added or removed as the weather changes. Top off the layers with a winter coat, snow pants, hat, gloves and warm boots. Proper clothing choices make all weather conditions enjoyable. Where to stay, eat and drink? Winter is a quiet season in and around the immediate vicinity of Glacier National Park. The quaint cozy accommodations and eateries along U.S. Highway 2 will keep your clients warm and happy with friendly locals eager to help. The community of East Glacier Park is located along the eastern edge of Glacier National Park and offers a laid back opportunity to live like a local. The western and southern communities are Columbia Falls, Coram, Essex, Hungry Horse, Martin City and West Glacier. Izaak Walton Inn, Essex: The Izaak Walton has a variety of lodging accommodations, including inn rooms, train cabooses and cabins. The cabooses have bathrooms (including showers), kitchens and decks that provide views of the surrounding forest and mountain peaks. Meadow Lake Resort, Columbia Falls: Full-service year-round lodging including inn rooms, condominiums, vacation homes, evening dining and relaxing spa services. Their on-site outdoor hot tub also provides stunning views of Montana’s star-filled night sky. 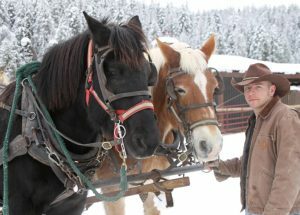 North Forty Resort, Columbia Falls: This 40-acre family owned resort offers log cabins with handcrafted log furnishings, gas fireplaces and full kitchens. Reclusive Moose Cabins, Columbia Falls: These cozy cabins share a community fire pit area in the evening where on a clear night, the big Montana sky is perfect for stargazing at its best. 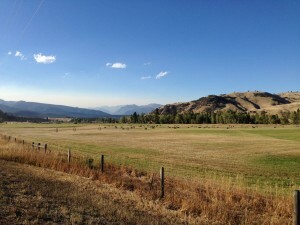 Abbot Valley Homestead, Martin City: A unique and quaint lodging option, these renovated Abbott Valley homestead cabins are located across the working family farm. Historic Tamarack Lodge, West Glacier: The lodge, originally built in 1907 and updated in 2003, maintains the original oversized natural stone fireplace and lodge pole pine architecture, providing a warm and cozy place to spend a cold winter evening. 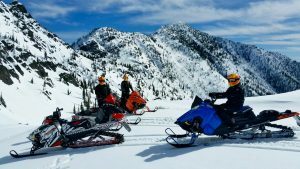 Glacier Adventure Guides, Columbia Falls: These experienced guides offer short and multi-day backcountry skiing, cross-country and snowshoe services. Izaak Walton Inn, Essex: The inn offers cross-country ski and snowshoe rentals for their 33 kilometers of groomed cross-country and skate skiing trails. In addition, they provide guide services for novice and advanced recreationists with tours that go into Glacier National Park. 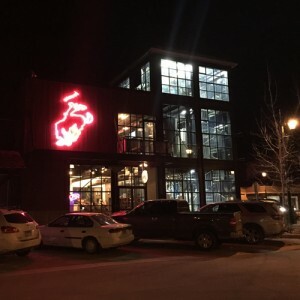 If your clients are willing to stay a little further away from the park, the village of Bigfork, city of Kalispell and resort town of Whitefish are great options and are all within 30 to 45 minutes of Glacier National Park’s west entrance. What to drive? Winter means snowy roads so be sure to suggest all-wheel or four-wheel drive transportation in the form of a medium to large size SUV/crossover vehicle. Rental car companies can be found at the Glacier Park International Airport, Whitefish and Kalispell, with each company carrying a wide variety of vehicles. 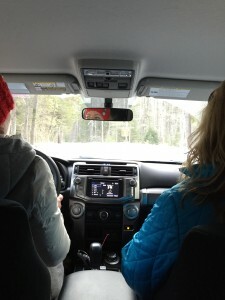 SUVs are my favorite form of transportation year-round. 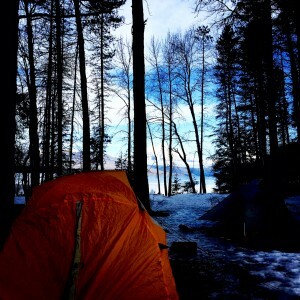 Be sure to add Apgar Campground to the itinerary. This is the largest campground in the park and is open year-round. It also has a public dock that provides unbelievable views of Lake McDonald and the mountain peaks of Garden Wall, Mount Cannon and Mount Brown. The variety of accommodations include rustic lodges and cabins, vacation homes, Swiss-style chalets and renovated railroad cars. Affordability of winter accommodations in the canyon corridor is very reasonable and some have outdoor recreational equipment for guests to rent. These services are often bundled together in vacation deals with other services like meals and spa treatments. This entry was posted in FIT, Tour Operators on November 9, 2015 by Racene. Driving through Western Montana’s Glacier Country is one of my favorite activities. Montana’s Rocky Mountains, green rolling valleys, rivers and lakes, coupled with our charming small towns, make every turn in the road an experience to remember. 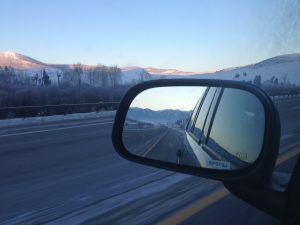 In fact, the scenery here is so beautiful that driving for pleasure is the second most desired activity for visitors coming to Montana, according to the University of Montana’s Institute for Tourism and Recreation Research. For both domestic and international visitors, U.S. Highway 93 is a highly recommended route. 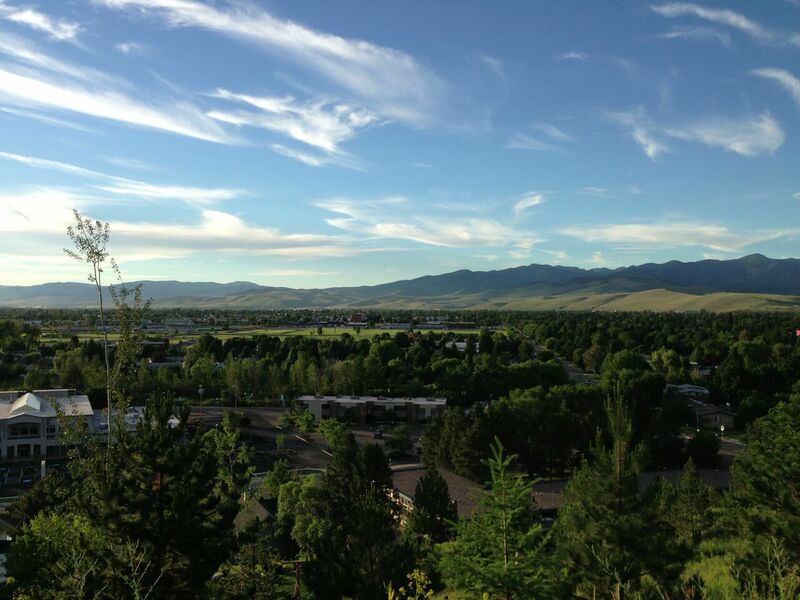 The view at the St. Ignatius Hill Rest Area, between the towns of Arlee and St. Ignatius, is beautiful. It borders the National Bison Range to the west. Western Montana sunsets always take my breath away. Weaving its way through Arizona, Nevada, Idaho and Montana, U.S. Highway 93 enters Montana at Lost Trail Pass, traveling north into the Bitterroot Valley before arriving in Missoula —Montana’s second largest city. 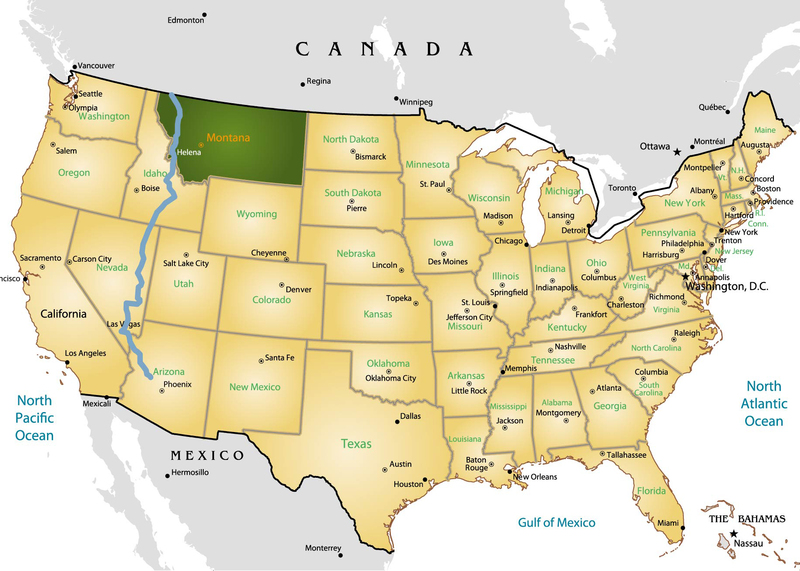 From Missoula, it continues north through the Flathead Indian Reservation and follows the western shore of Flathead Lake before taking travelers through Kalispell, Whitefish and Eureka where it ends at the Canadian border. For your clients who are interested in foreign independent travel (FIT) options in Montana, there are wonderful authentic experiences to be found along this route. 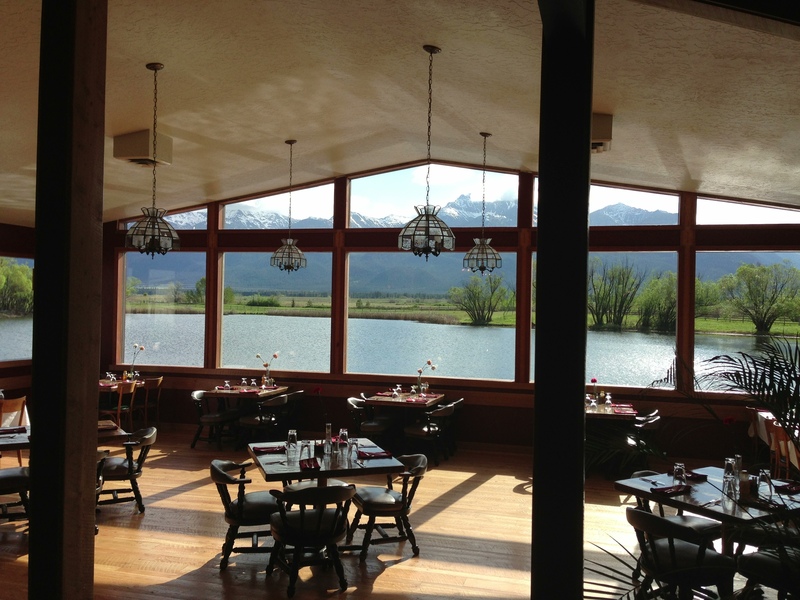 Located just off Highway 93 near Darby, Lake Como is a great place for your clients to stretch their legs and drink in the gorgeous views of the Bitterroot Valley. This beautiful mountain lake features a beach, swimming area and trailhead that has a ¼-mile paved interpretive trail and a 7-mile-long trail open for hiking and mountain biking. 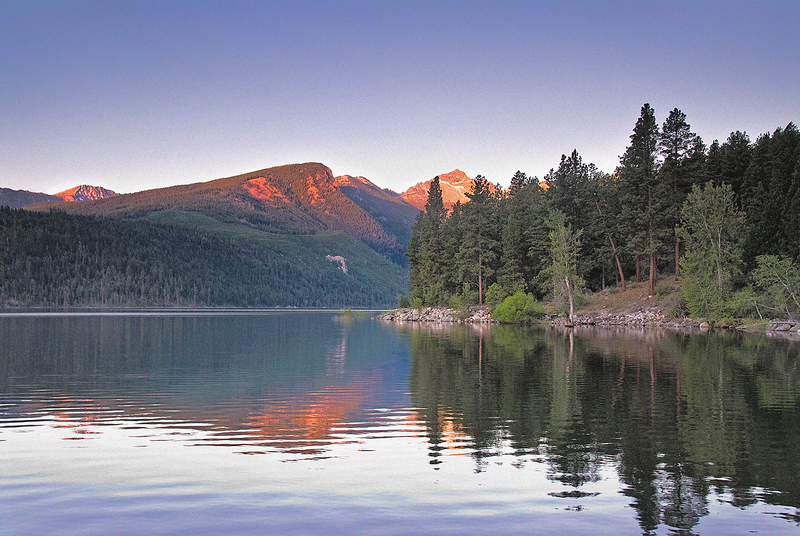 Insider tip: Lake Como is one of the most stunning locations along Highway 93. If possible, time it to catch the sunrise light up the nearby mountain peaks. A beautiful sunrise view looking west from the Lake Como campground. Sitting just off Highway 93 in Lolo, Travelers’ Rest State Park is the perfect location to walk in the footsteps of Montana’s cultural and natural history. This historic site was used for centuries by native peoples and served as an intricate network of travel, trade and culture. The Bitterroot Salish, Pend d’Oreille and Spokane tribes traveled throughout this region to gather supplies and resources needed to survive the long Rocky Mountain winters. In addition to serving for centuries as a gathering place for American Indians, this state park is the only archaeologically verified campsite of the Lewis & Clark Expedition. Declared a National Historic Landmark in 1960, Travelers’ Rest is a notable location along the Lewis & Clark Trail and was visited twice by the Lewis & Clark Corps of Discovery. 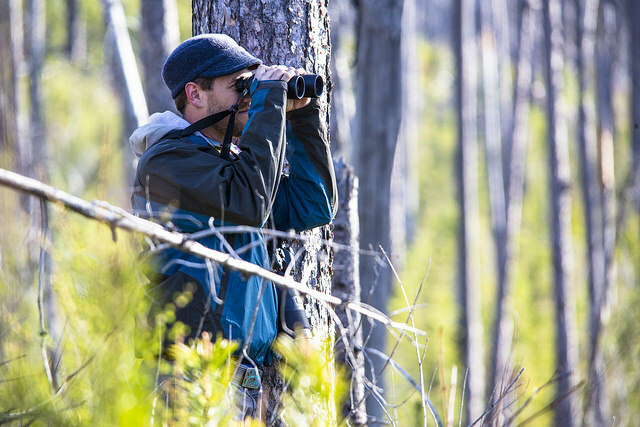 Insider tip: During spring, summer and fall, visitors are well-advised to bring binoculars or a zoom camera as the park is a rich bird habitat that’s home to more than 115 recorded species. During winter, catch an installment of the park’s Winter Storytelling Series where America Indian storytellers bring their history and culture to life. The Travelers’ Rest Visitor Center and Museum on a sunny afternoon. 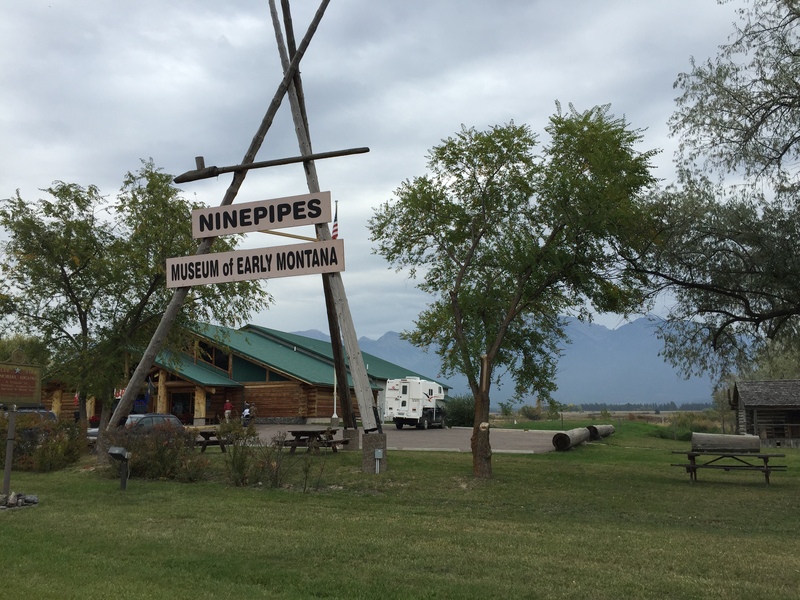 Located next to the Ninepipes National Wildlife Refuge between St. Ignatius and Ronan, Ninepipes Museum is a stop your international clientele will never forget. A hidden gem, the museum has beautiful 360-degree Mission Valley views that will make them want to stay forever. 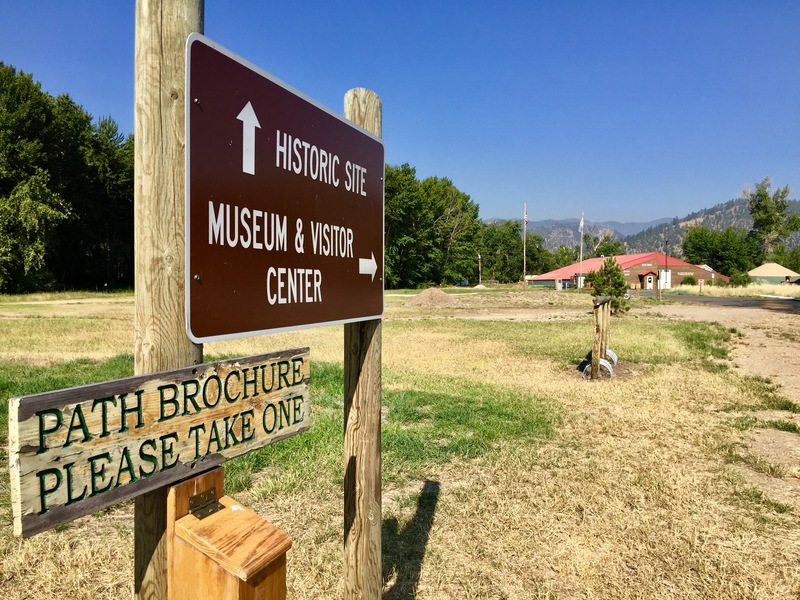 Named after Chief Joseph Ninepipes, a Bitterroot Salish chief, the museum was built to help visitors discover and memorialize the history and culture of the Flathead Indian Reservation and early Montana. It contains photos, artifacts and antiques representing more than a century of life in Montana. Set as the landscape of Ninepipes Museum is the majestic Mission Mountains. One of many galleries in the museum where you experience a taste of the rich history of the Mission Valley. Insider tip: After touring the museum, walk across the parking lot to Ninepipes Lodge for breakfast, lunch or dinner in their dining room. The views are spectacular. No caption needed. The view from the dining room at Ninepipes Lodge. Hands down, this location and view takes my breath away every time I see it and I’m sure your clients will have the same feeling. 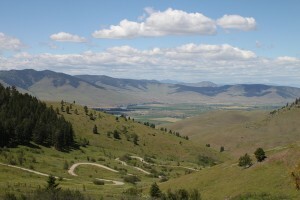 This lookout is located at the top of Polson Hill (just south of Polson) on the east side of U.S. Highway 93. The overlook features a paved walkway to two interpretive sites–one covered and one not. The view looking north out over Flathead Lake, the largest natural freshwater lake west of the Mississippi, is stunning with the blue green hues of the glacial water from Glacier National Park and the majestic peaks of Montana’s great Rocky Mountains. 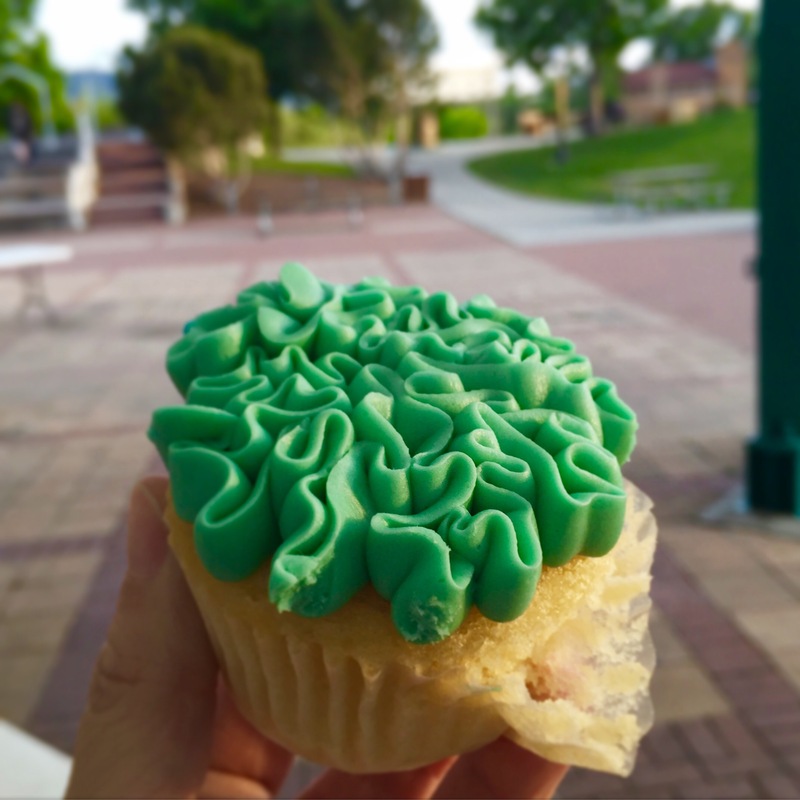 Insider tip: If you’re looking to bolster your itinerary, suggest that your clients stop and pick up a sweet treat to enjoy while drinking in the views from the lookout. 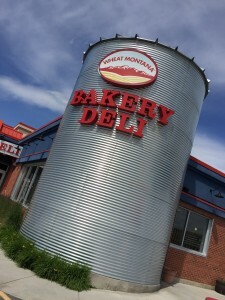 The Windmill Village, located at 26715 U.S. Highway 93 in Ravalli (south of stop #3), is my favorite Montana bakery where everything is homemade from family recipes. My favorite: the doughnuts. (The pies and cookies are a close second). 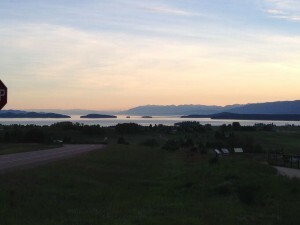 Definitely one of my favorite views of Flathead Lake. From the moment I pull into the parking area, I can’t help but start snapping pictures of this view. A charming and unique museum located in Kalispell, the Conrad Mansion is the most beautifully preserved pre-1900 mansion in Montana and has more than 90 percent of the original Charles Conrad family furnishings. 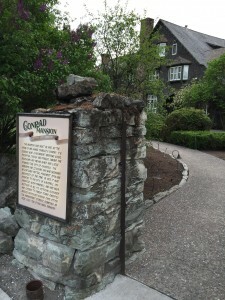 Charles Conrad, a founder of Kalispell, arrived in the Flathead Valley in 1891 and established the Kalispell Townsite Company and Conrad National Bank. He built the beautiful shingle style Victorian home for his family in 1895 in what was then a wilderness. The mansion sits on the original town site and has spectacular views of the Flathead Valley and the Swan Mountain range. Insider tip: During the Christmas Season, your clients will enjoy the beautifully decorated Mansion while learning about the Christmas traditions of the Conrad family. 100-year-old quilts are also on display during the Christmas tours only. This museum and its grounds are beautifully maintained. For clients who are looking for a scenic route between Yellowstone National Park and Glacier National Park, U.S. Highway 93 is one of the most scenic routes in Montana. 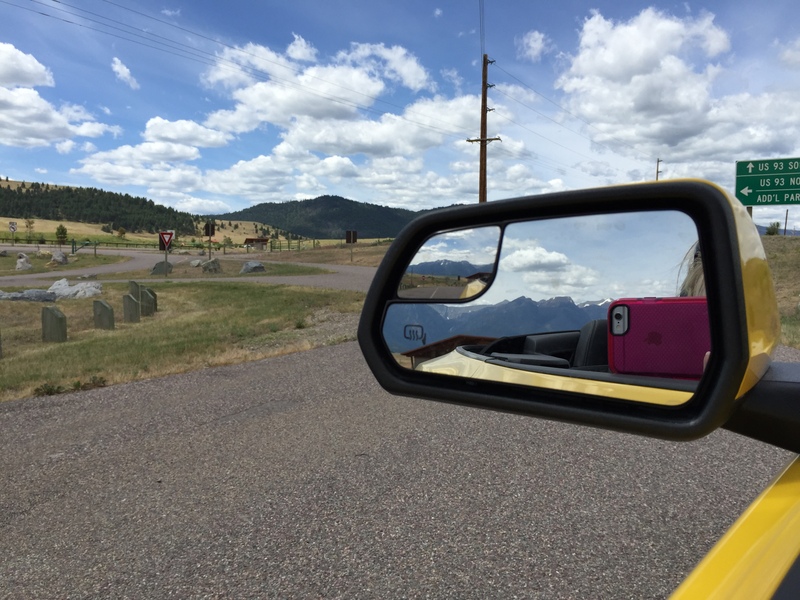 For more information on planning a FIT itinerary along the Montana section of U.S. Highway 93, contact our Tourism Sales Manager, Debbie Picard. 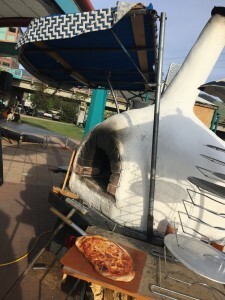 This entry was posted in FIT on October 8, 2015 by Racene. Summer and fall in Western Montana’s Glacier Country are wonderful seasons to experience a warm weather adventure – specifically in Montana’s great outdoors. 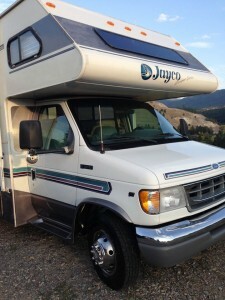 RVing is a popular pastime in the United States and as an RV traveler myself who spends plenty of time traveling Montana in my Class C RV, it’s a mode of travel I highly recommend. 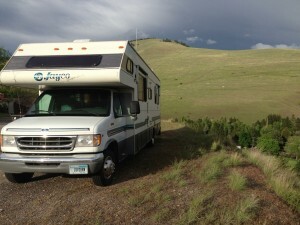 Leaving Missoula with my RV loaded and ready for a weekend adventure. 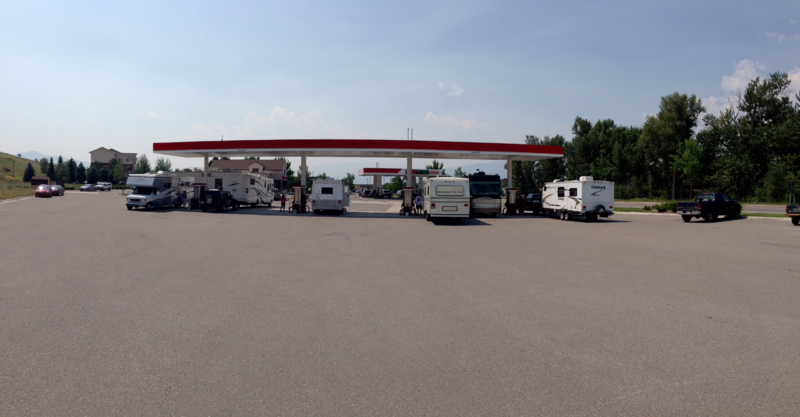 Many area gas stations have places for RVs to fuel up, prep and empty waste water. My Class C RV allows me to take my home with me wherever I venture. For clients who like to camp but prefer modern conveniences, recreational vehicles (RVs) are the perfect way to drive, park, camp and discover the Montana’s outdoor offerings. 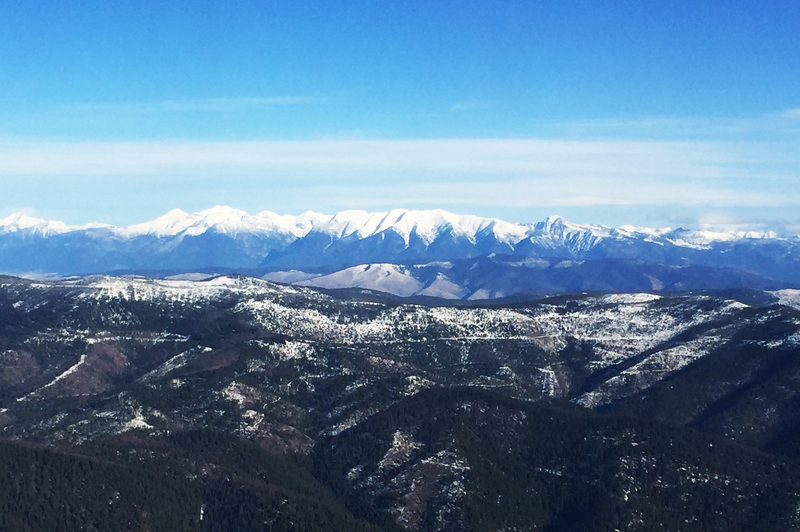 Foreign independent travelers (FIT) can easily fly into one of our two international airports (Missoula International Airport and Glacier Park International Airport), rent a RV and begin their journey. Highway pullouts often have plenty of space for me take a break, stretch my legs and even prepare a quick bite to eat in my galley kitchen before I move on down the road. 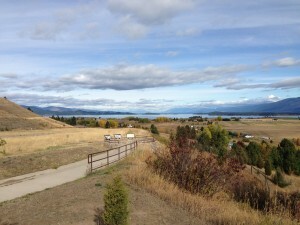 Polson Hill is a beautiful scenic point overlooking Flathead Lake. Private campgrounds are a reliable way to ensure your clients have the perfect spot along every stop of their adventure. 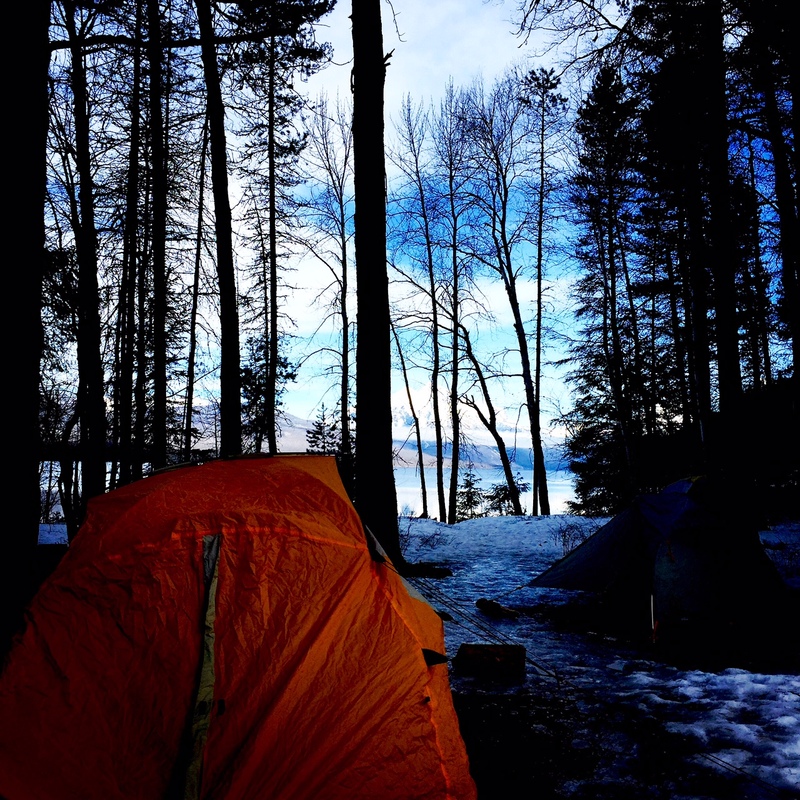 Glacier Country Tourism has a complete list of private and public campgrounds in the region, providing a quick reference for you to plan the perfect itinerary. 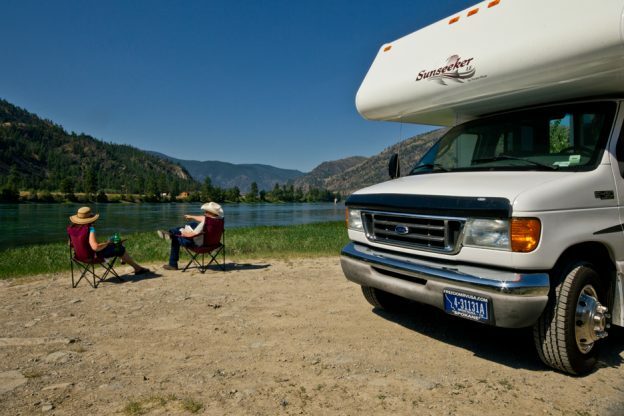 State and federal land campgrounds are a great option for spontaneous RV enthusiasts. Federal public land camping includes Glacier National Park and sites managed by U.S. Bureau of Land Management, U.S. Fish and Wildlife Service and U.S. Forest Service. 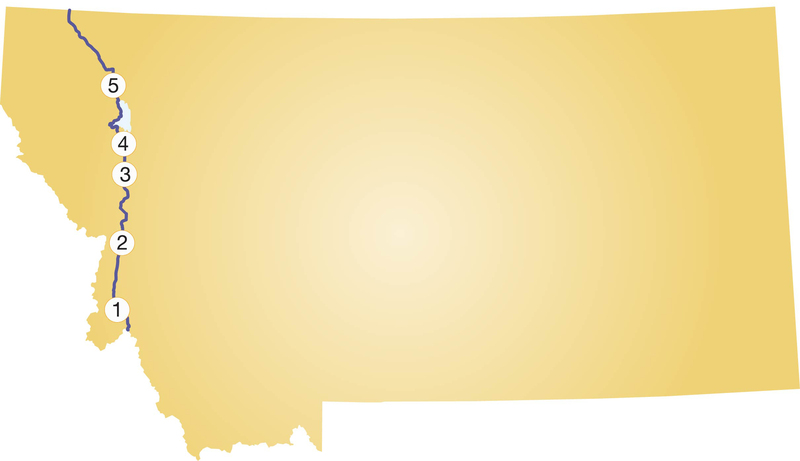 State public land camping refers to sites managed by Montana State Parks. 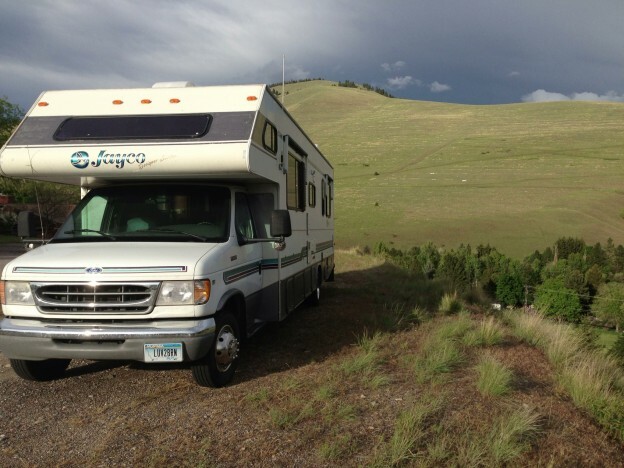 To make planning a Montana RV trip easier, there is one website to help plan itineraries on federal land and one website for Montana State Parks. Most federal public land campsites are available on a first-come, first-served basis while up to 75 percent of state parks can be paid for and reserved for up to nine months in advance. Tribal land campgrounds are owned and managed by tribal governments on both the Flathead and Blackfeet reservations to which they are located. Services and availability vary. Public land campgrounds are great if your client wants to park and camp in America’s great outdoors. They often are located in picturesque areas or along lakes and rivers. Campsites in these areas often do not have RV hook-ups for water and electricity so travelers will need to rely on power and water resources located in the RV. 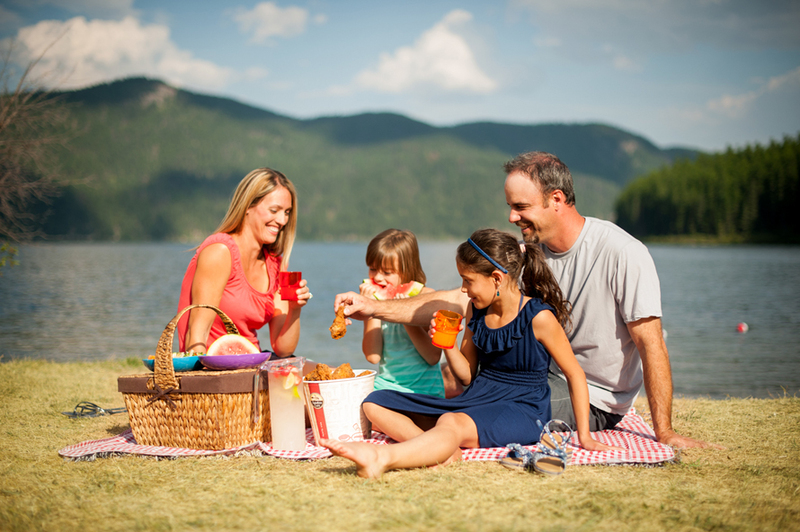 Private campgrounds have more modern and complete facilities including water, electricity, Wi-Fi, level parking sites, laundry facilities, showers, picnic tables, etc. 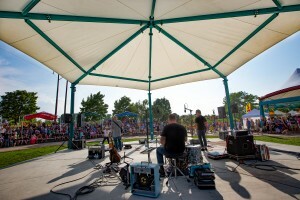 Some even have playground equipment, pools and recreation buildings with games to enjoy. Tribal campgrounds are another option to consider for RV camping and services vary by campground. Research specific parks ahead of time to ensure they have campsites to accommodate the size of RV being driven. Plus, this will guarantee your clients have a space once they arrive. RVs do not require a special driver’s license but drivers should be comfortable driving large vehicles. 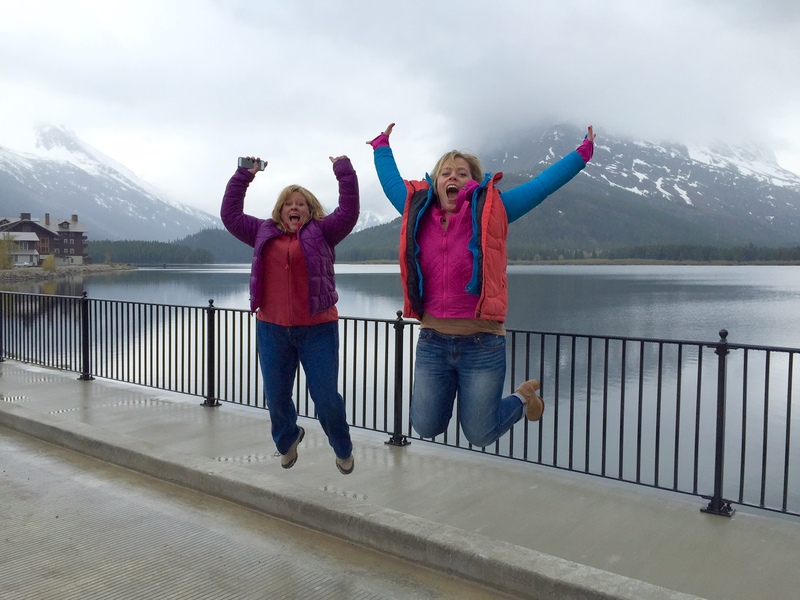 Glacier Country Tourism has a great RV itinerary for you to consider. Our Tourism Sales Manager can help you build one to offer just the right experience. Rental RVs come in several sizes. The smaller the recreational vehicle, the easier it is to drive and navigate. Larger vehicles have more interior space and amenities your clients may appreciate. Consider the type of camp facilities and hook-ups your clients may find most convenient. Camping in the great outdoors means sharing that environment with wildlife. As with any outside recreation activity, be sure your clients follow safety precautions by being aware and respectful of wildlife. 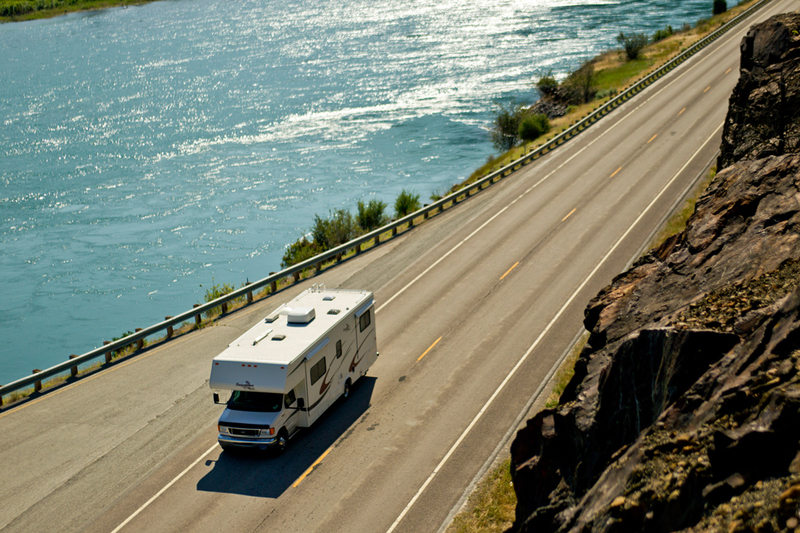 Make sure your clients pay close attention during the RV orientation so they are comfortable with the operation and maintenance of the vehicle. When renting an RV, be sure the company you work with has the appropriate bath, bedroom and kitchen accessories and that they are included with the RV rental to ensure only that only a quick stop at the grocery store is needed prior to beginning their Montana adventure. This entry was posted in FIT on June 4, 2015 by Racene. Montana is known for its spectacular unspoiled nature and western hospitality, making it an ideal destination for foreign independent travelers (FIT). Leisurely scenic drives combined with a few stops in our charming small towns are a great way to experience both. 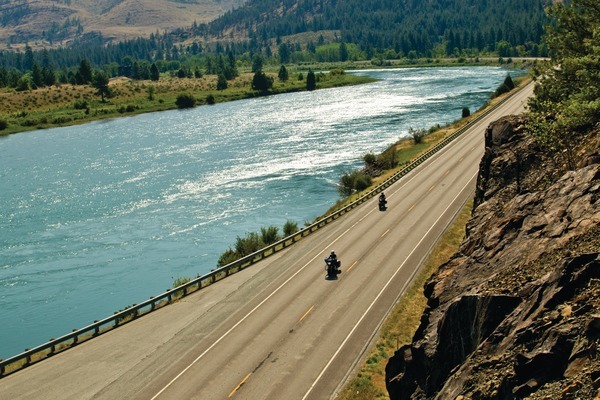 Whether traveling by car, motorcycle or RV, our scenic byways provide the perfect route for international visitors seeking an authentic Western Montana experience. This corner of Montana, also known as Glacier Country, has spectacular scenery. Surrounded by national parks, national forest lands, wilderness areas and some of the prettiest waterways in the Rocky Mountains, one of my favorite Montana scenic drives is along Highway 200. It begins north of Missoula and travels along the Clark Fork River to the Idaho border. This area, known as Tour 200, is home to some incredible attractions, communities and the local personalities who call it home. Motorcyclists are drawn to Highway 200 for the scenery and ample pullouts to stop and take a break. 1. National Bison Range – For wildlife enthusiasts, Montana’s National Bison Range is a perfect way to start a day-long scenic drive just north of Highway 200. Managed by the U.S. 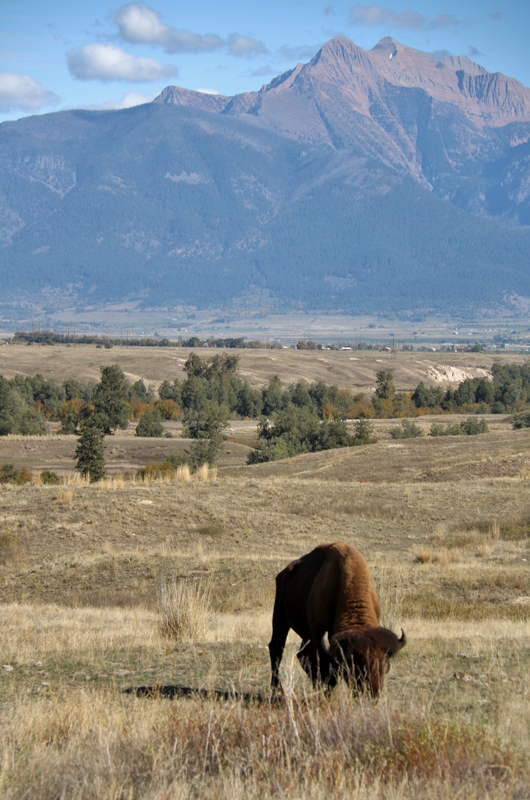 Fish and Wildlife Service, this wildlife refuge is home to bison, deer, antelope, bear, elk and bighorn sheep. If your clients are birdwatchers, there are hundreds of species to view in pristine habitat. Also located nearby: the Ninepipe National Wildlife Refuge. Insider tip: Be sure to work into your itinerary a stop at the visitor center for information on current wildlife sightings, flowers in bloom, photo opportunities and other available activities. 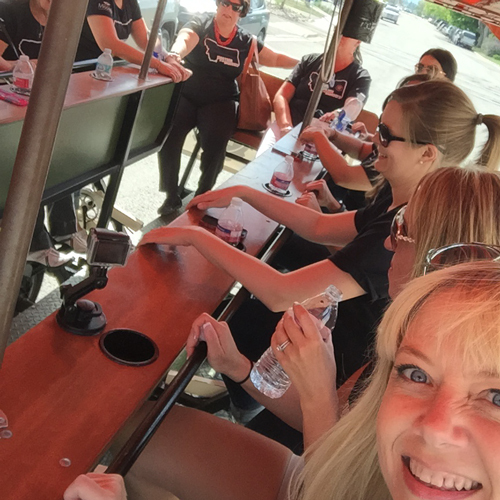 Bus and tour groups – $25 USD (If you work with group tours, the Bison Range can be easily worked into itineraries). This view from the National Bison Range is a favorite providing 360 degrees of stunning Montana scenery. 2. 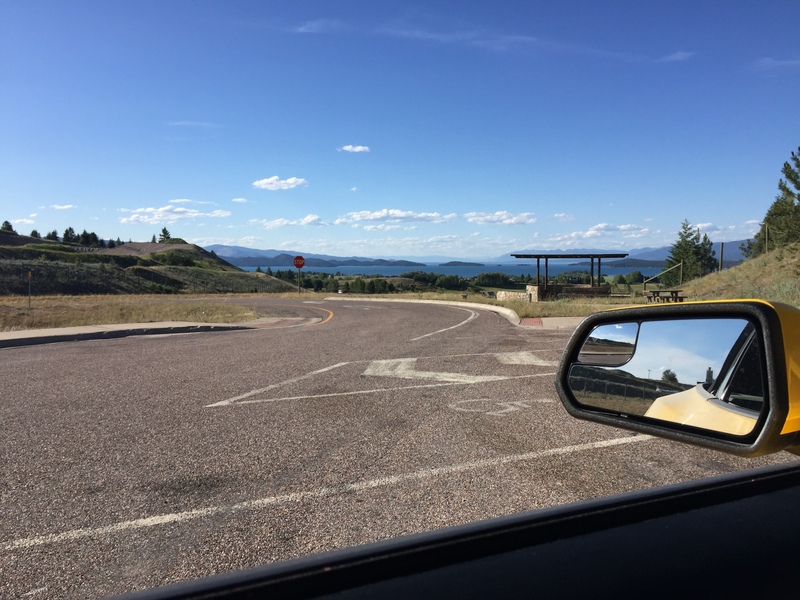 Thompson Falls Dam – Visiting the dam is a great place to have travelers stretch their legs and breathe in some fresh mountain air, especially for clients who have been driving for a while. 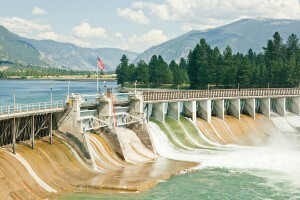 The Thompson Falls Dam is a complex of four hydro-power dams that together impound an upstream reservoir in the community of Thompson Falls. The island between the dams contains a public park with hiking trails, picnic tables and scenic overlooks. The view from one of several overlooks of Thompson Falls Dam. 3. Cast a line or have a picnic – If you have clients who like to fish, this stretch of Montana along the Clark Fork River is perfect for them. Be sure to have them pack fishing gear to take advantage of the many miles of accessible riverfront. Another option is to book a guided fishing trip with the resident outfitter in Thompson Falls. In addition to the abundant fishing opportunities on the Clark Fork River, there are additional lakes and streams along Highway 200. This river feeds the Thompson Falls, Noxon and Cabinet Gorge reservoirs. Fishing access sites are well designated. Flatiron Ridge Fishing Access Site is 2 miles west of Thompson Falls off of Highway 200 on Noxon Rapids Reservoir. McKay Landing Fishing Access Site is approximately 21 miles west of Plains on River Road/Swamp Creek Road on the Clark Fork River. Thompson Falls State Park is 3.7 miles northwest of Thompson Falls on the Clark Fork River. Insider tip: Always be aware of your surroundings as it pertains to private and public lands and follow Montana fishing laws. Montana Department of Fish, Wildlife and Parks manages many fishing access sites along this corridor and has several locations for your use. In Montana, fishing licenses are required so be sure to purchase a license at one of the many locations they are sold. For those who appreciate picnics and soaking up sunshine, Thompson Falls State Park is the perfect spot. The park is located just north of Thompson Falls on Blue Slide Road and has great picnic sites to kick back and enjoy the sights and sounds of nature. 4. 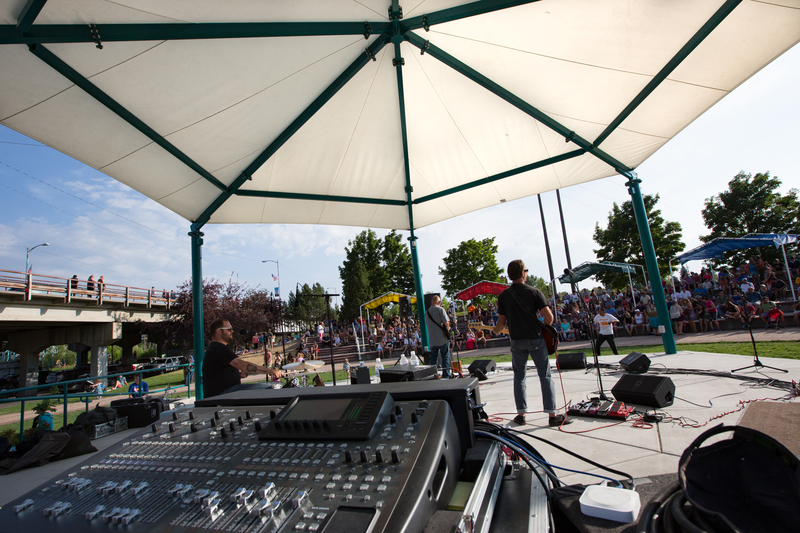 Attend an annual summer event – For clients who like festivals and historical events, Montana’s Clark Fork River Valley has some not-to-be-missed festivities. Huckleberry Festival (Trout Creek) August 14 – 16, 2015: This well-known event is a homemade craft festival with many activities for families including a parade, huckleberry talent show, pentahalon, fun run, auction and jam and jelly dessert contests, as well as more than 100 vendors. 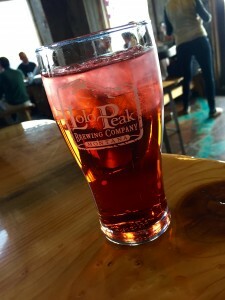 This event is perfect for those who want to meet locals and learn more about our obsession with Montana’s most famous purple berry – the huckleberry. The huckleberry is Montana’s most prized wild fruit and is treasured for its delicious flavor. Plus, it only grows wild in certain forested areas with the unique conditions of the Rocky Mountains. David Thompson Days (Thompson Falls) July 4, 2015. Commemorating the achievements of North American explorer David Thompson (1770-1857), this event highlights the history of the region with historic displays, demonstrations, activities, interpretive education and lessons in primitive skills. Period clothing, arts and crafts, trade goods, storytelling, live music, good food and mountain man games are all part of the fun. For more events to fit your client’s schedule or for ideas for tour group itineraries, visit Glacier Country Tourism’s website. Symes Hot Springs is like stepping back in time with no modern distractions such as phones and televisions. Soak in the mineral baths and pools to sooth your body and mind. Insider tip: Symes is known for its eclectic music scene, so call ahead to plan around a weekend of music, song and small town Montana fun. 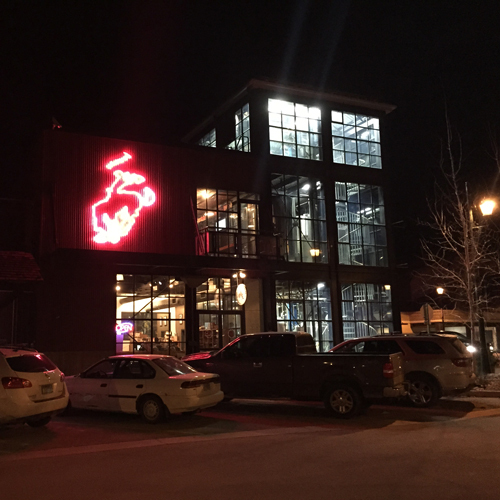 Quinn’s Hot Springs features modern western comfort and hospitality. The mineral pools will melt away your aches and the fine cuisine in the restaurant will bring your day to a perfect end. Insider tip: Cellular phones do not work here but the Wi-Fi access is great. 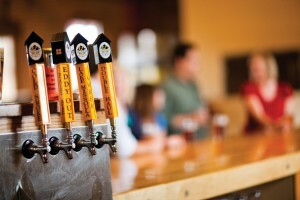 Both resorts are favorites with the locals and serve Western Montana’s best craft beers. Montana scenic tours are an everyday experience in this beautiful state, but Highway 200 is a little less traveled while every corner brings a scene that will take a person’s breath away. This entry was posted in FIT, Tour Operators on May 7, 2015 by Racene.